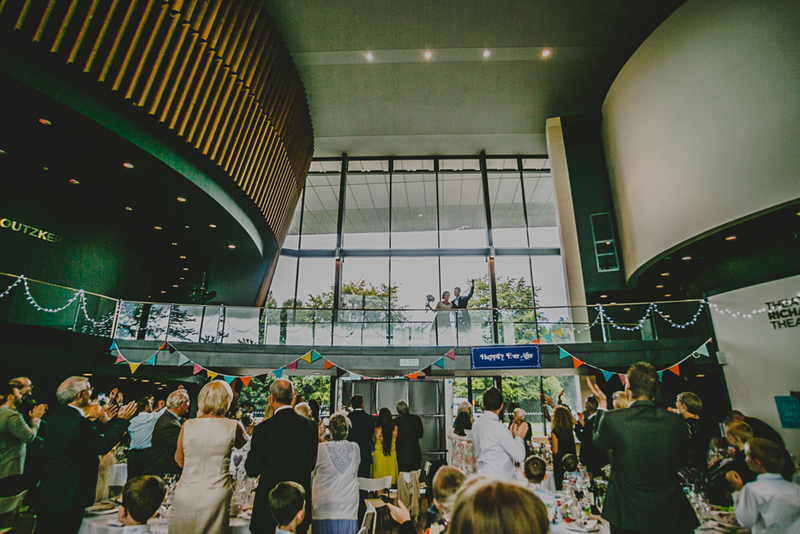 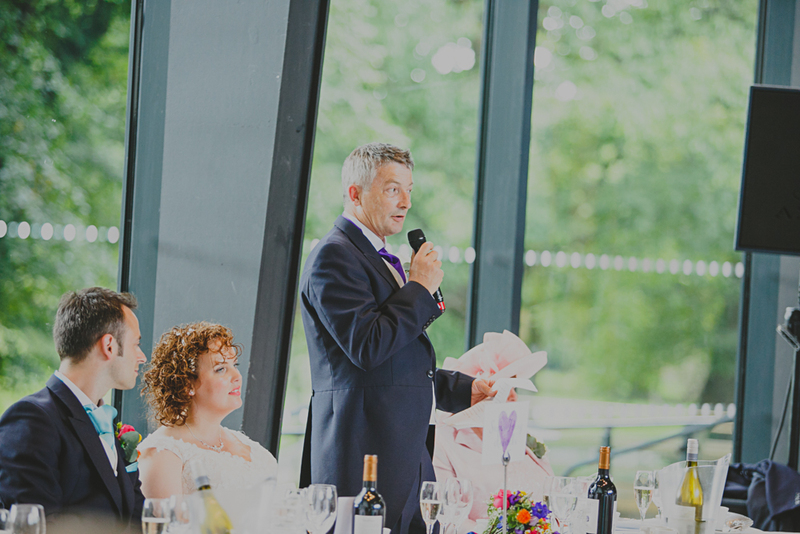 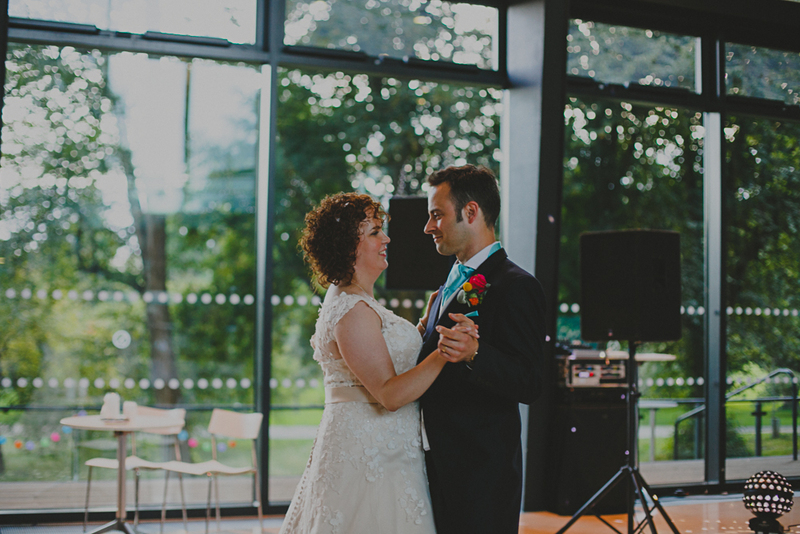 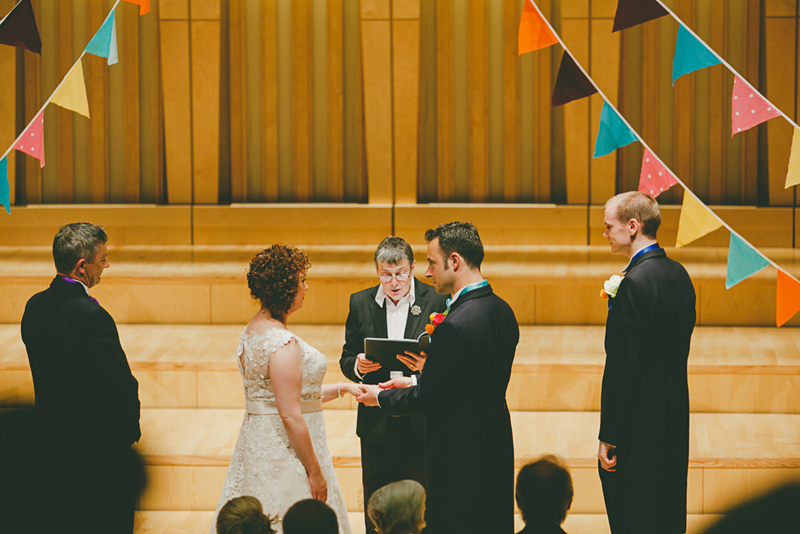 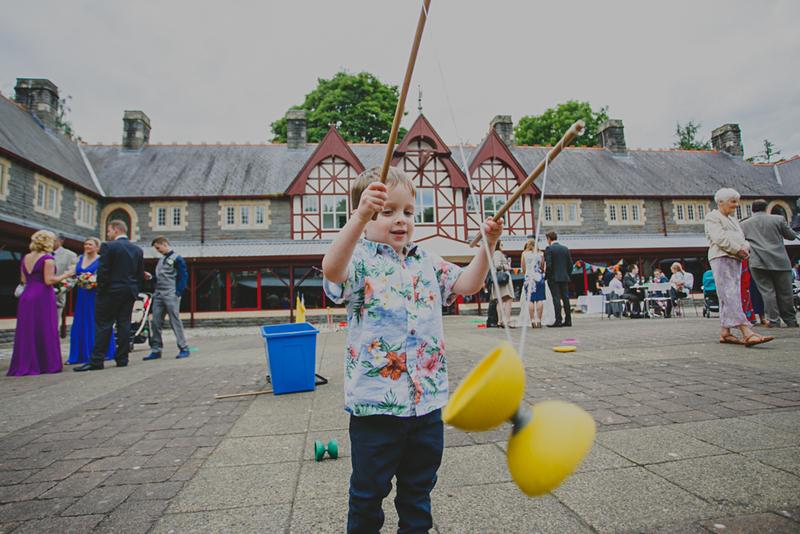 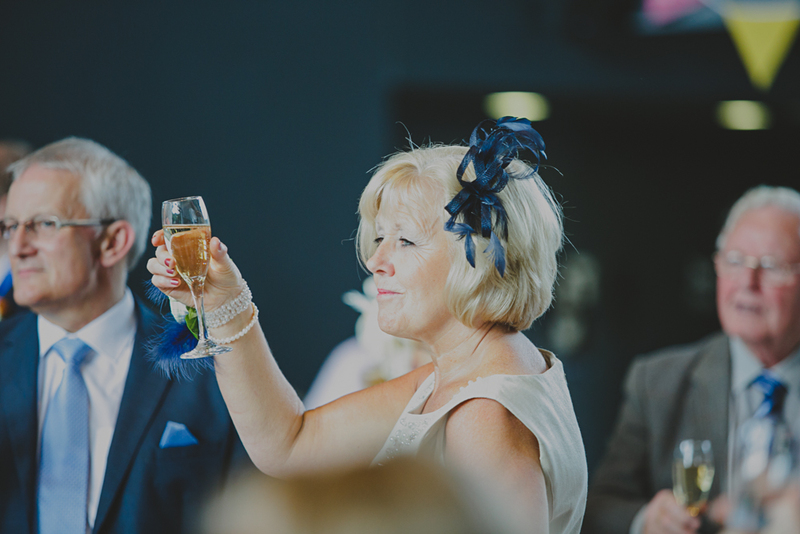 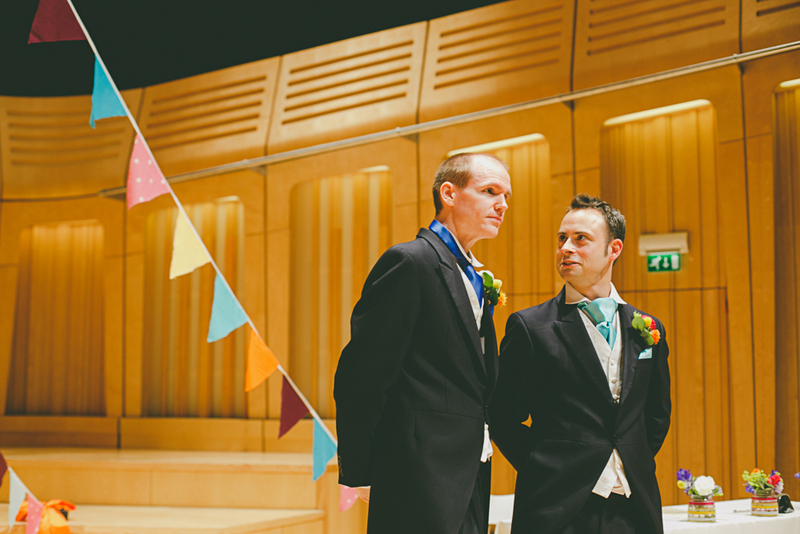 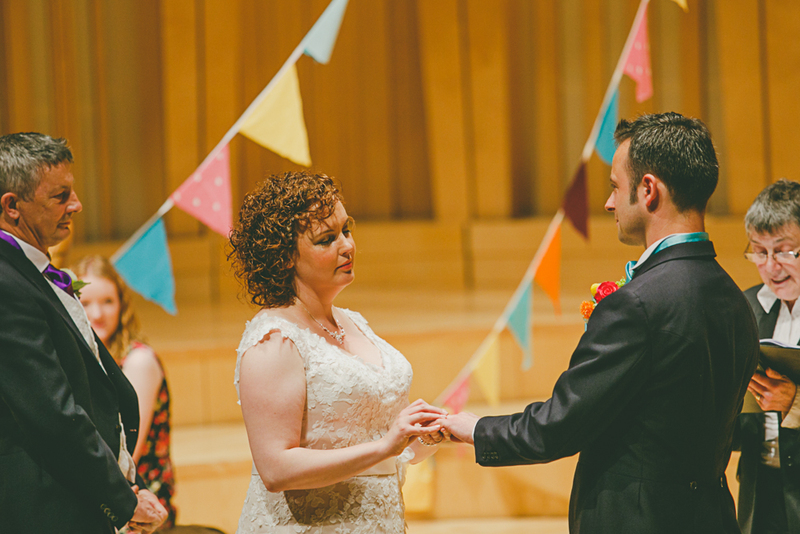 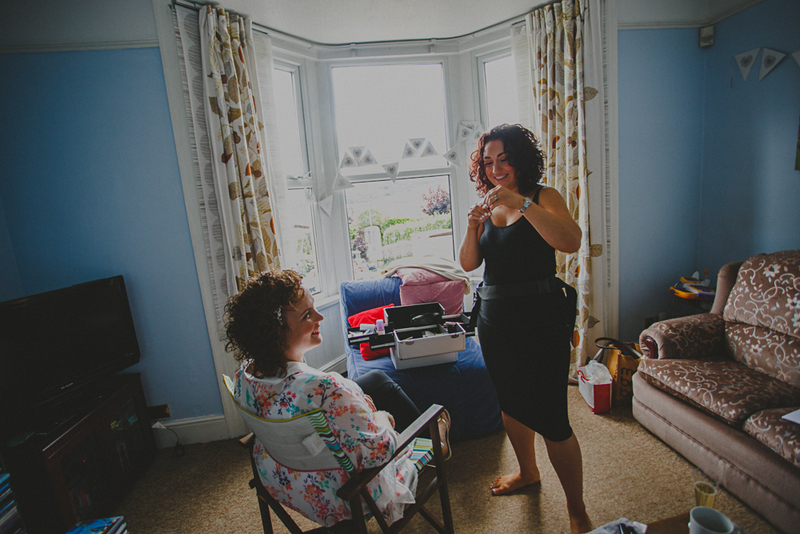 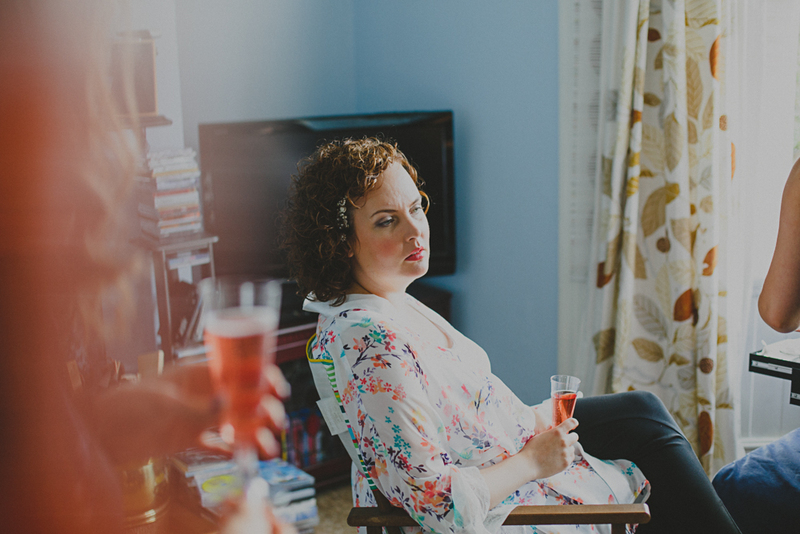 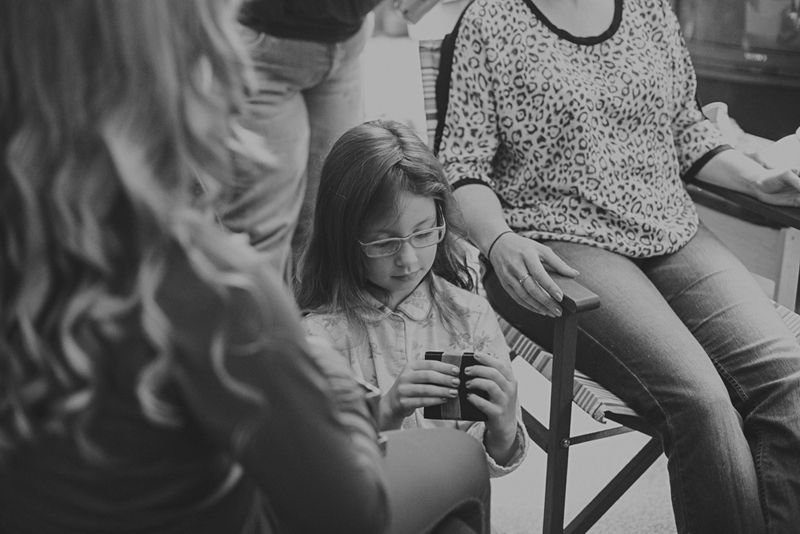 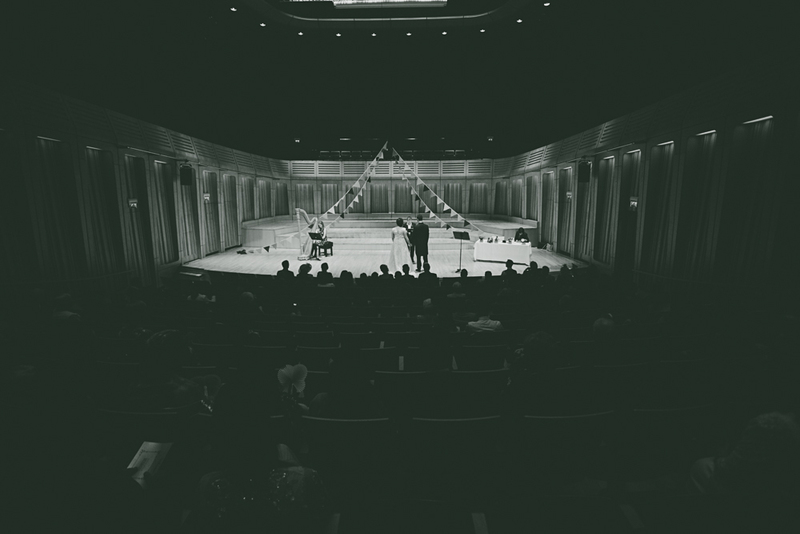 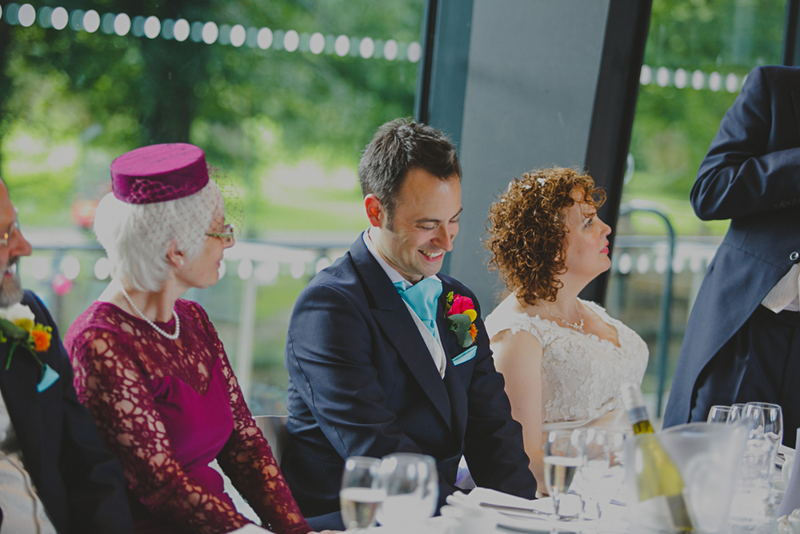 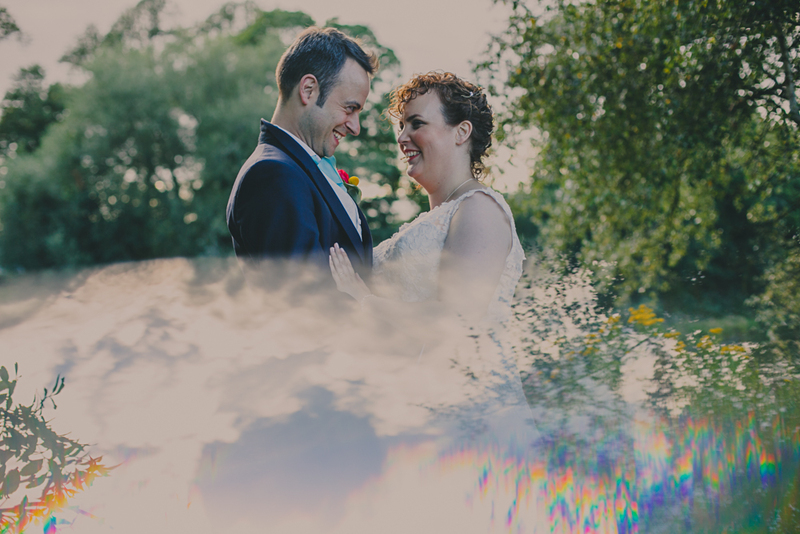 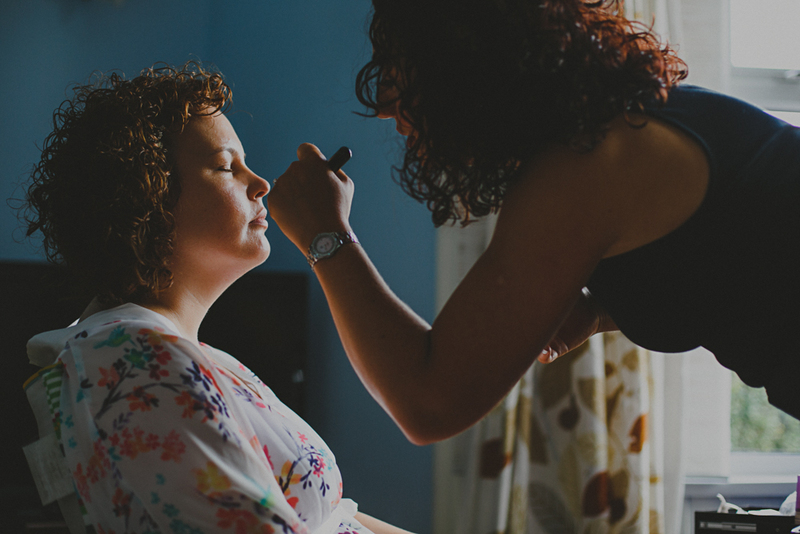 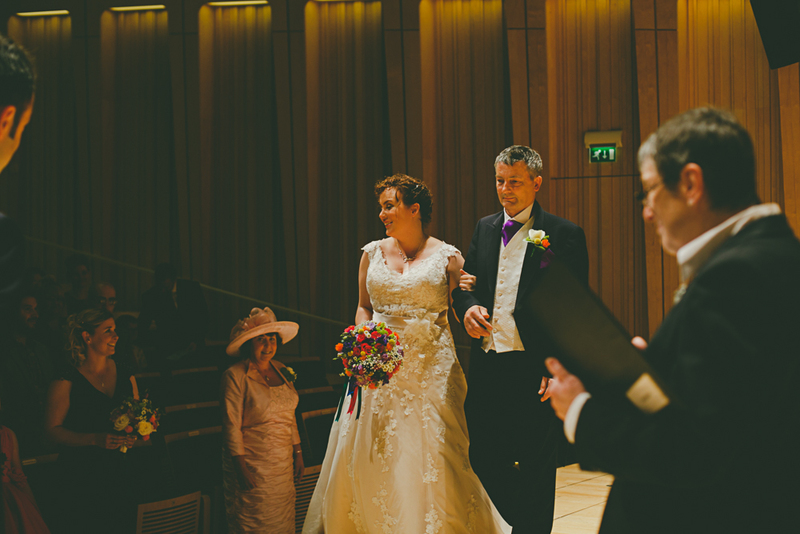 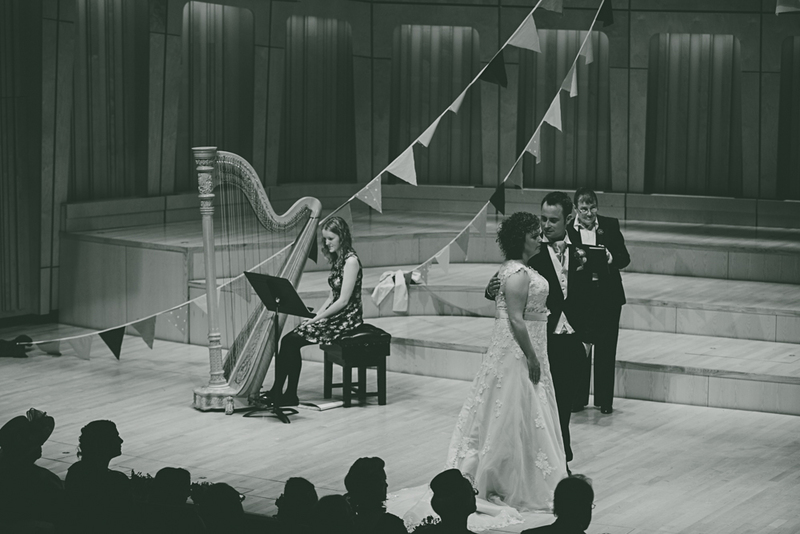 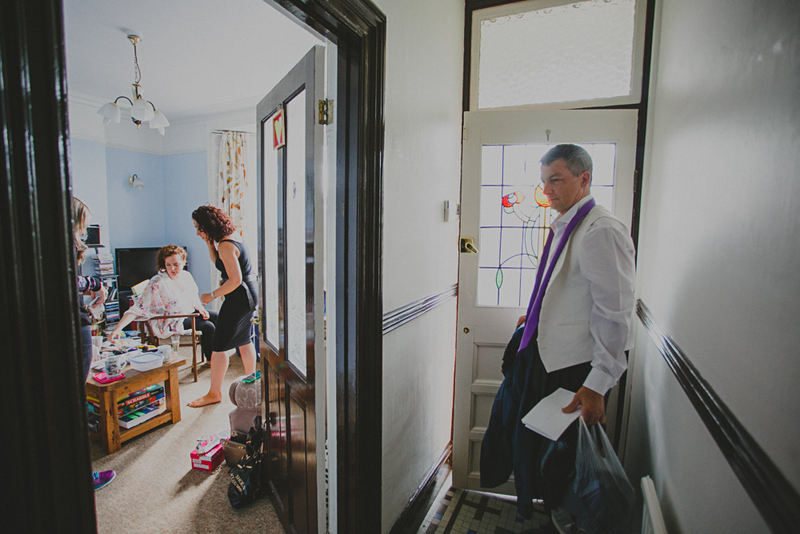 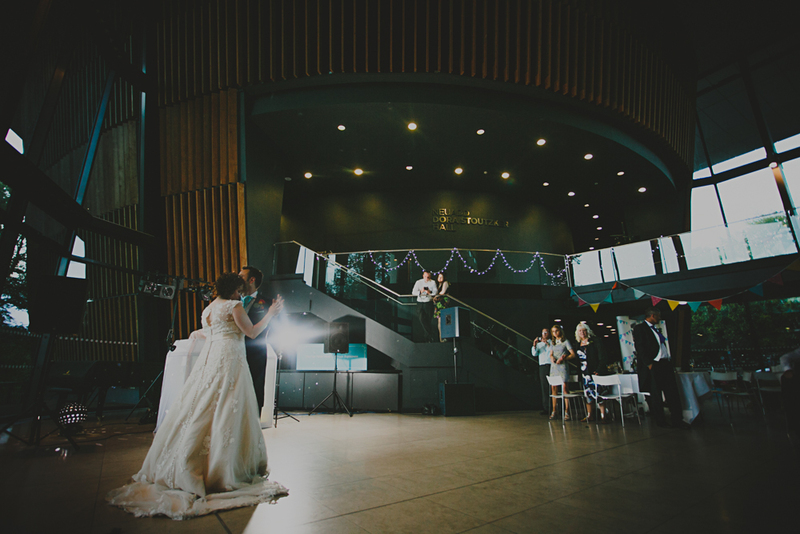 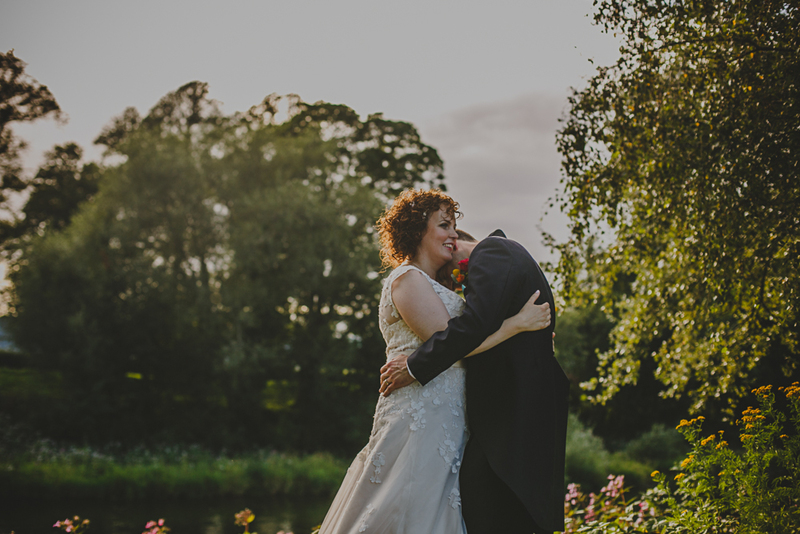 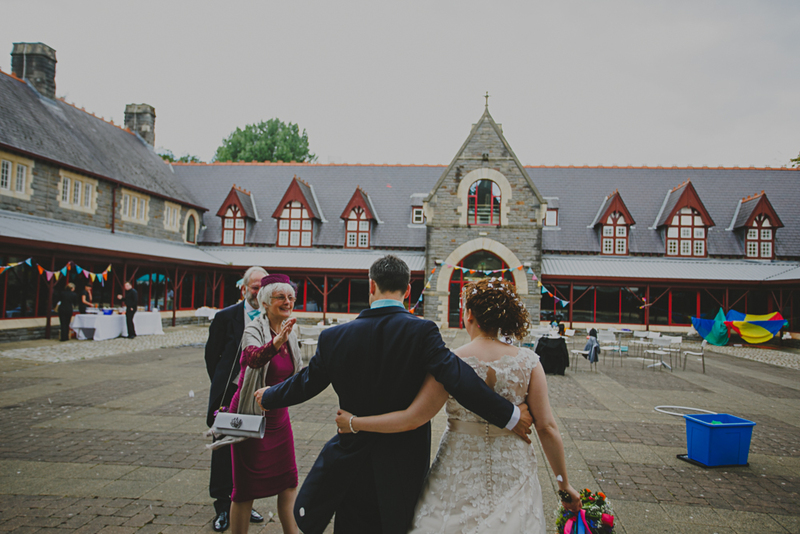 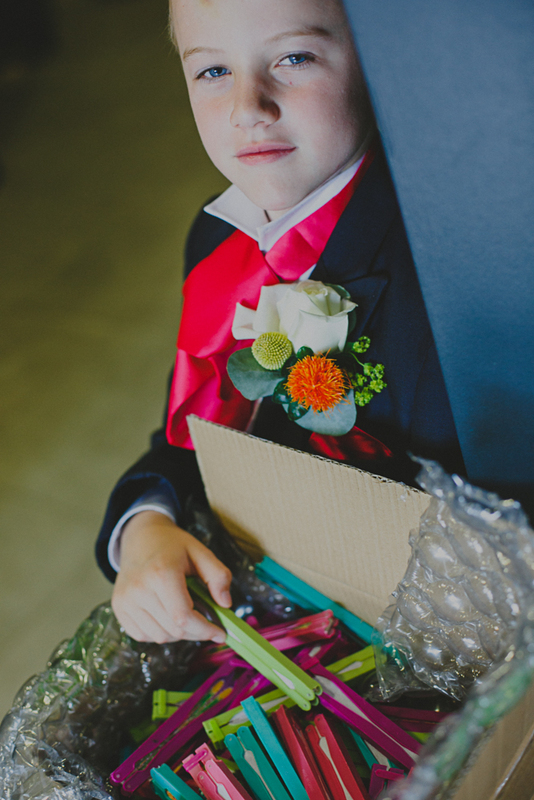 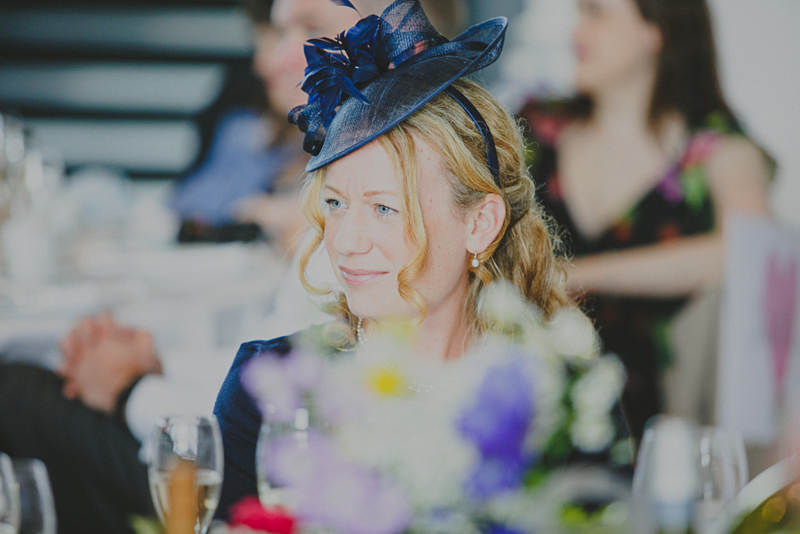 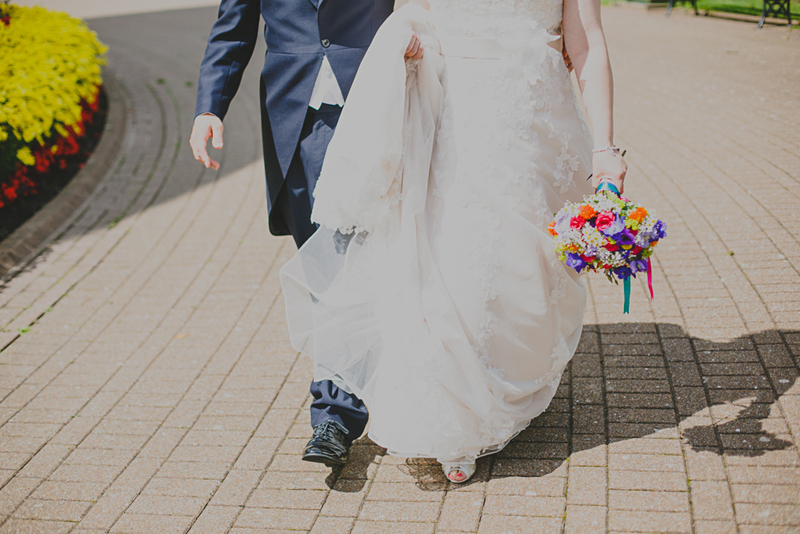 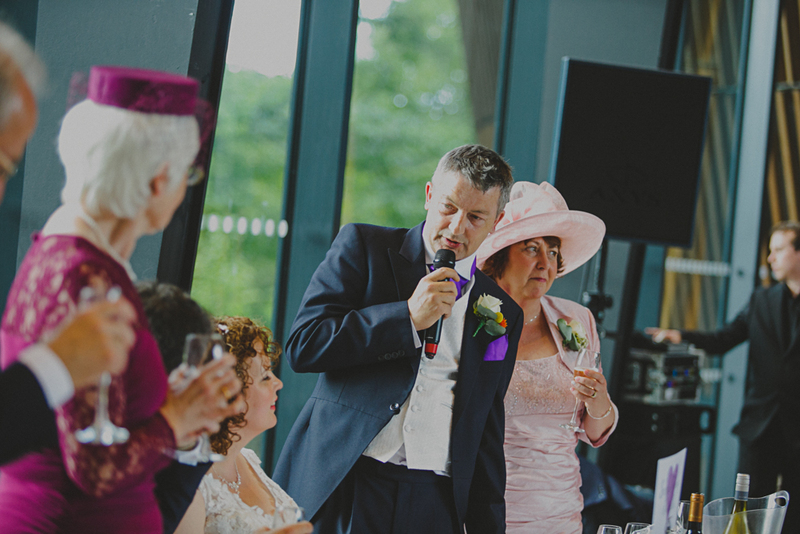 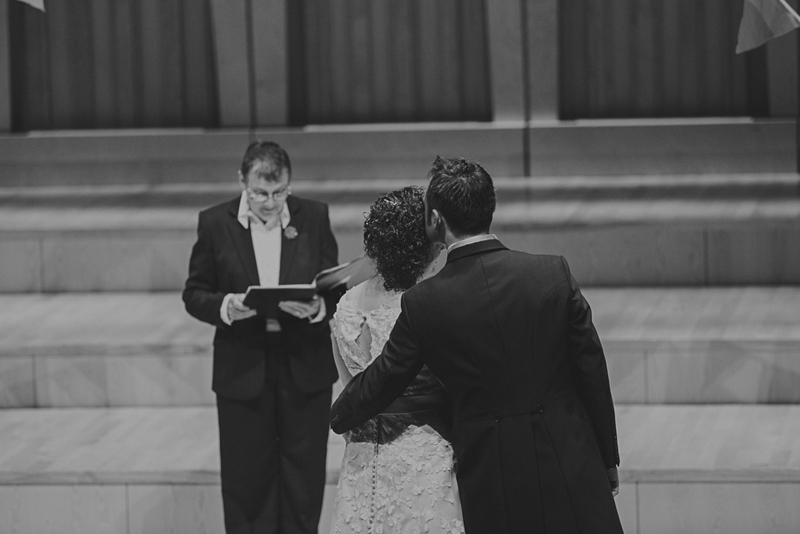 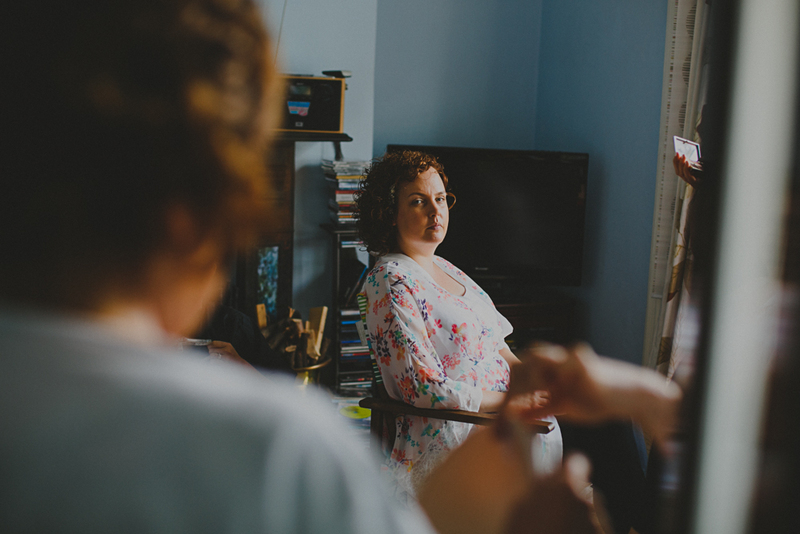 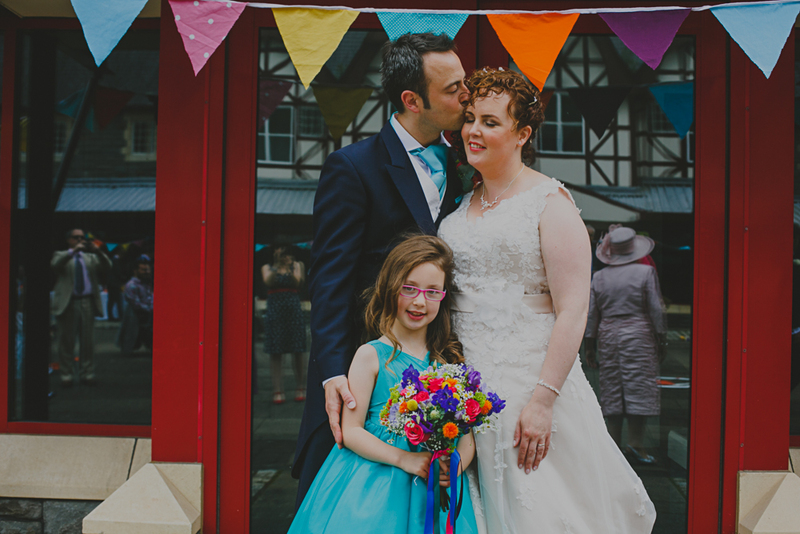 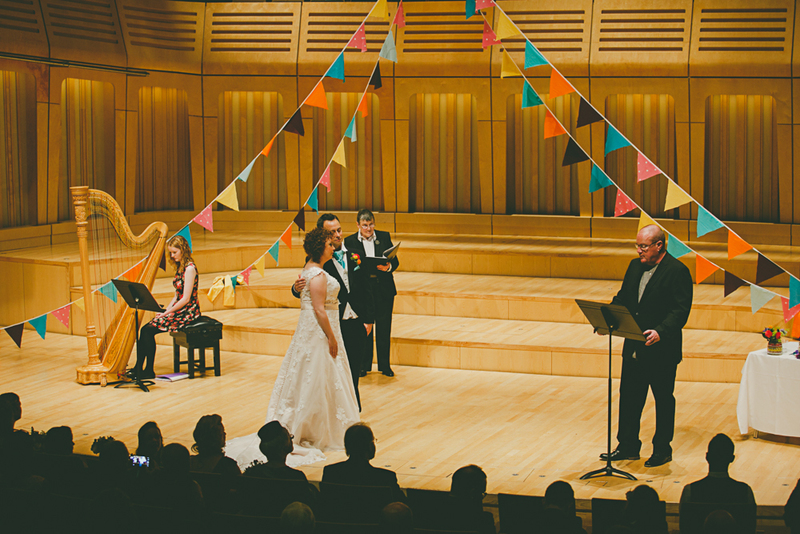 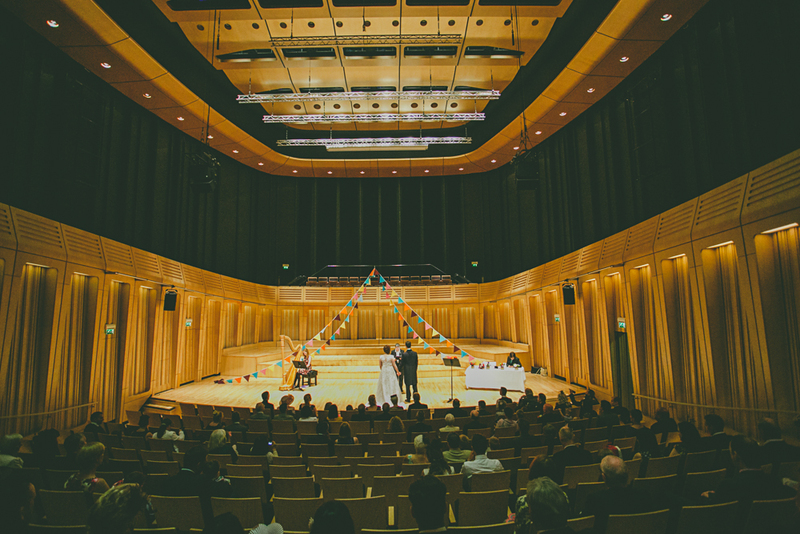 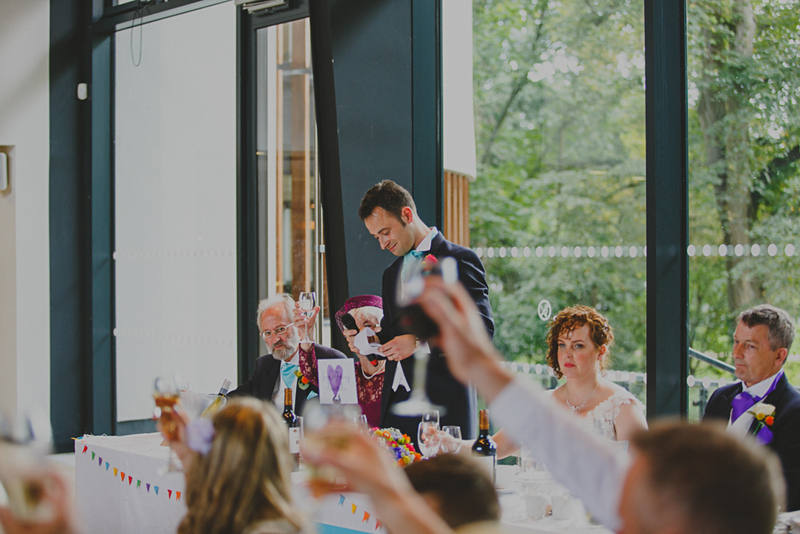 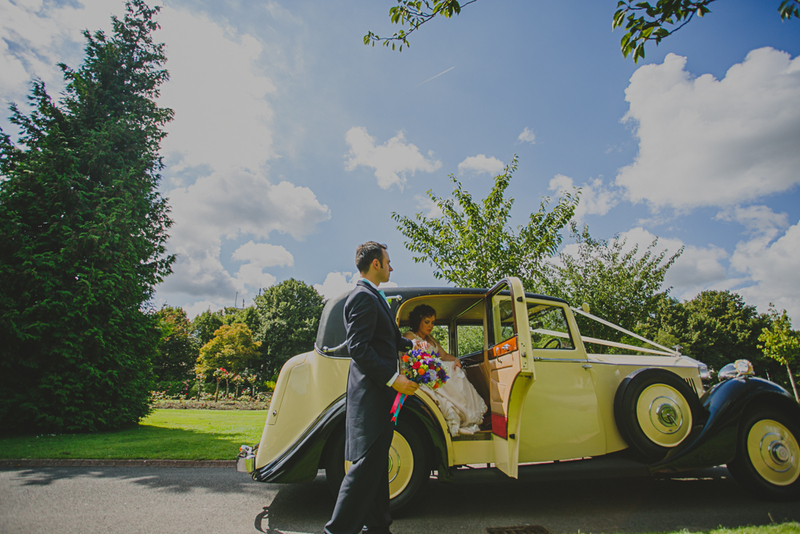 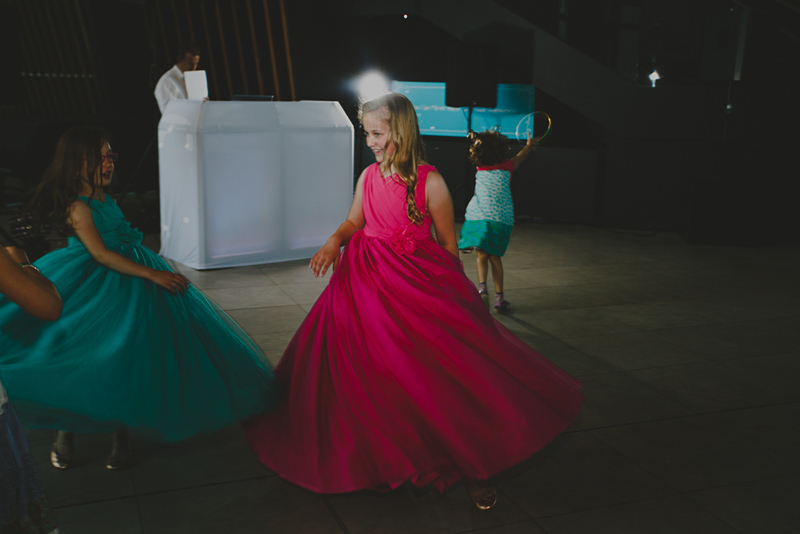 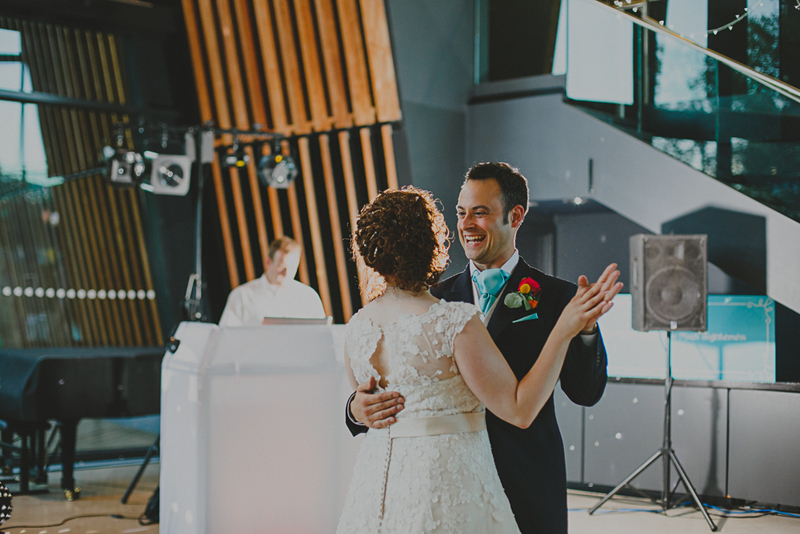 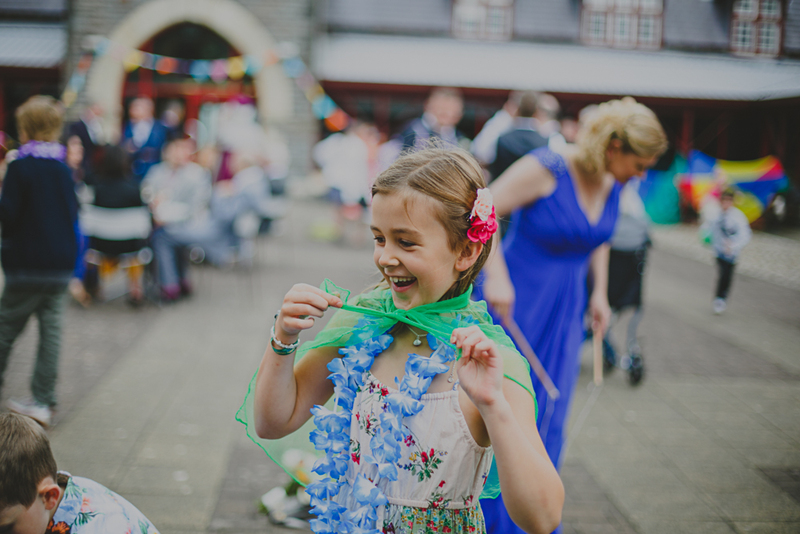 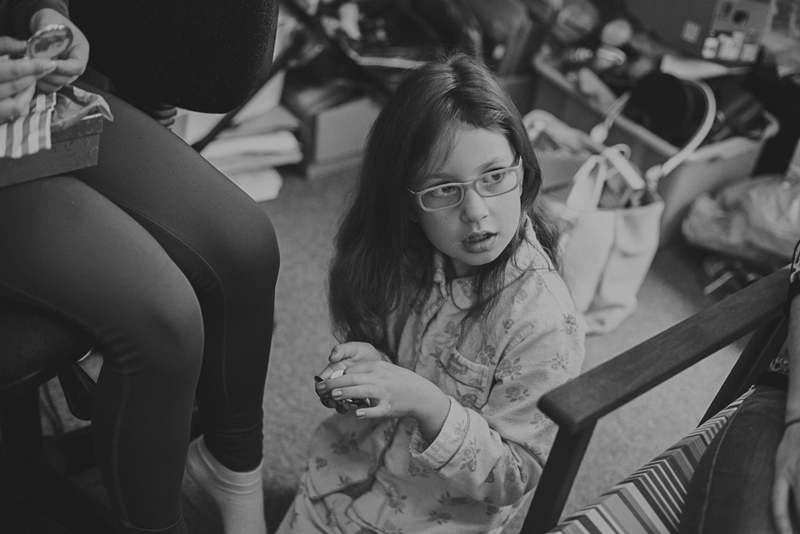 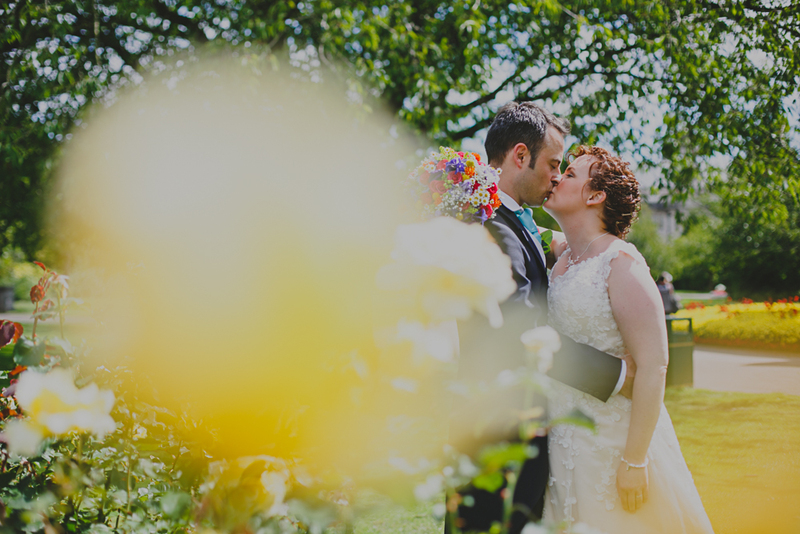 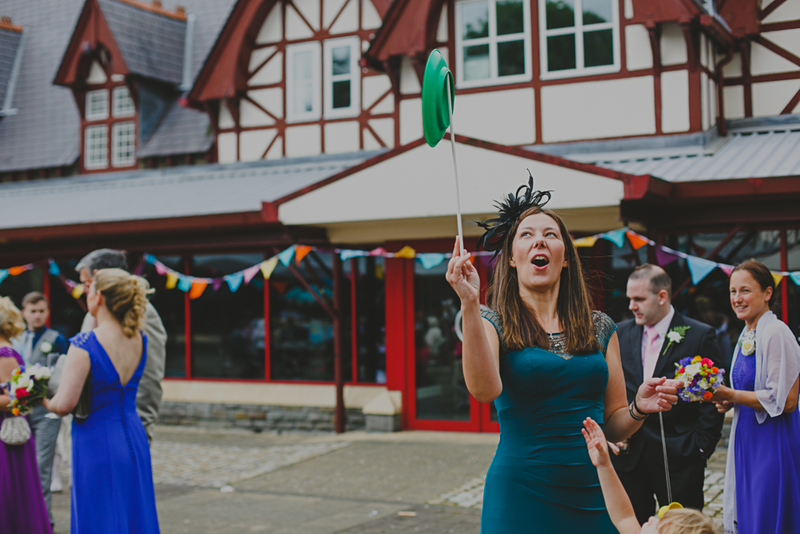 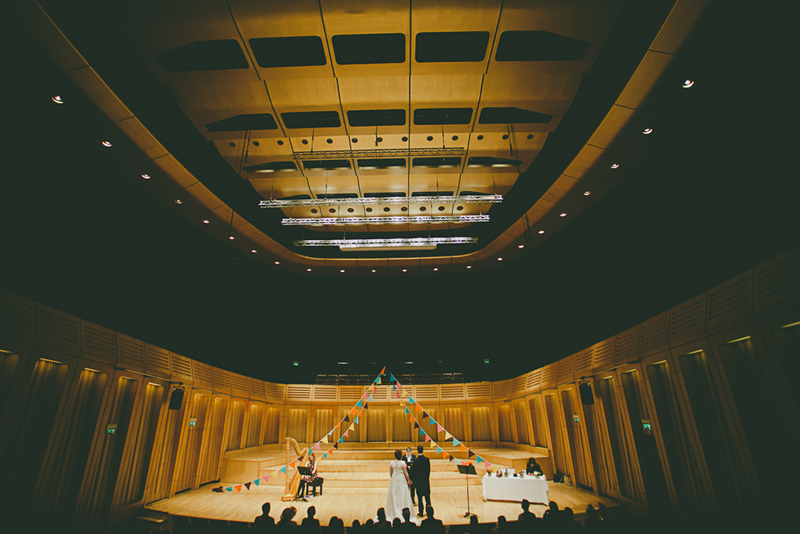 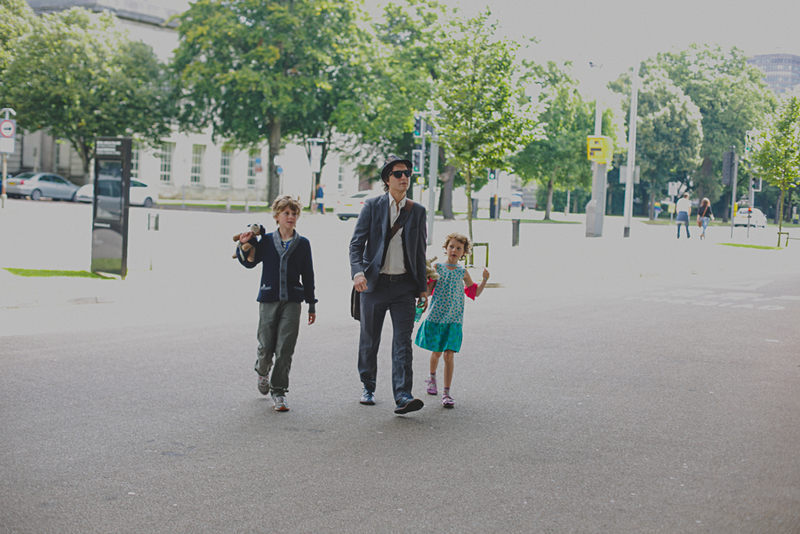 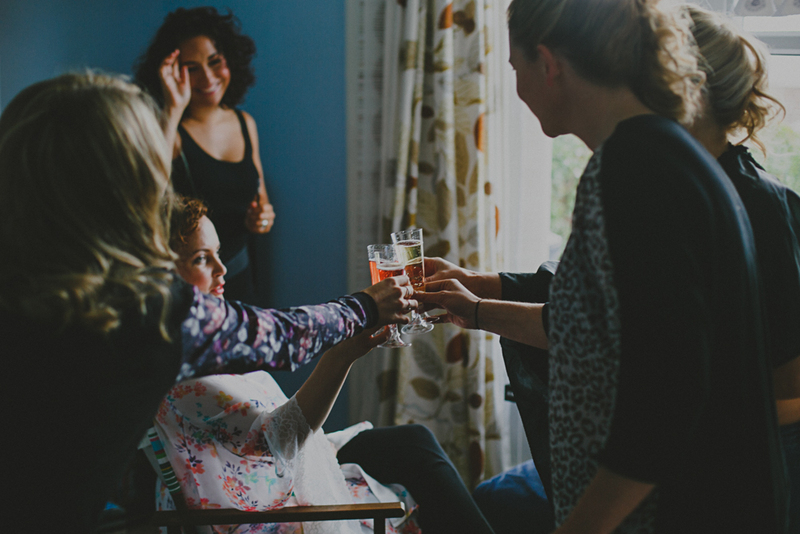 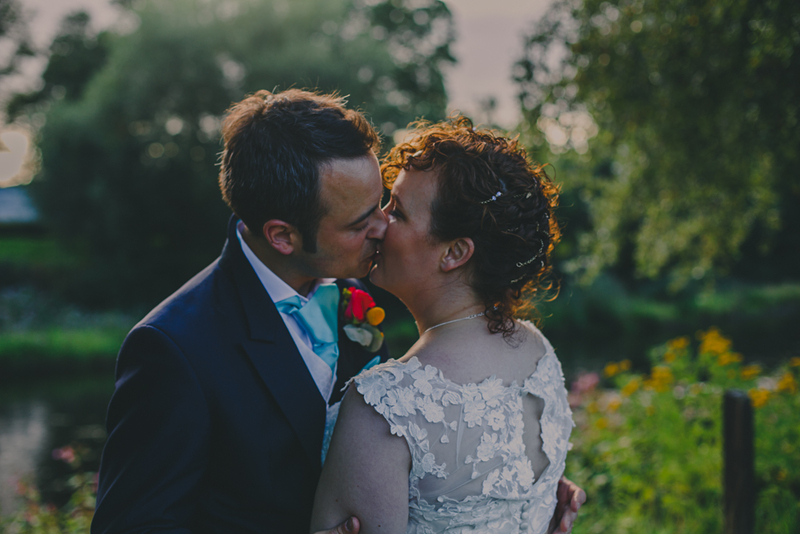 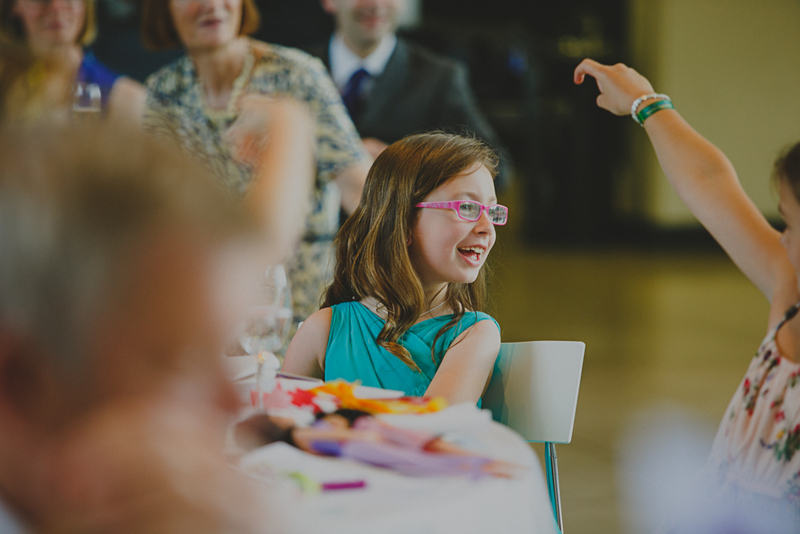 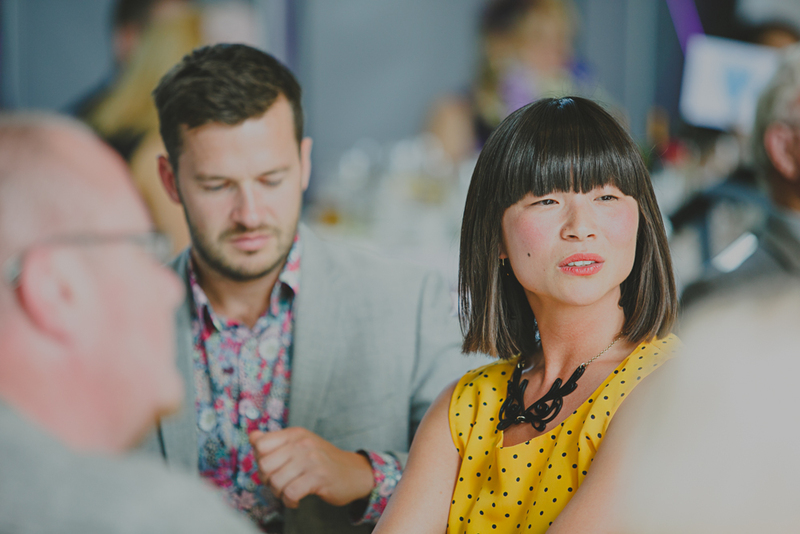 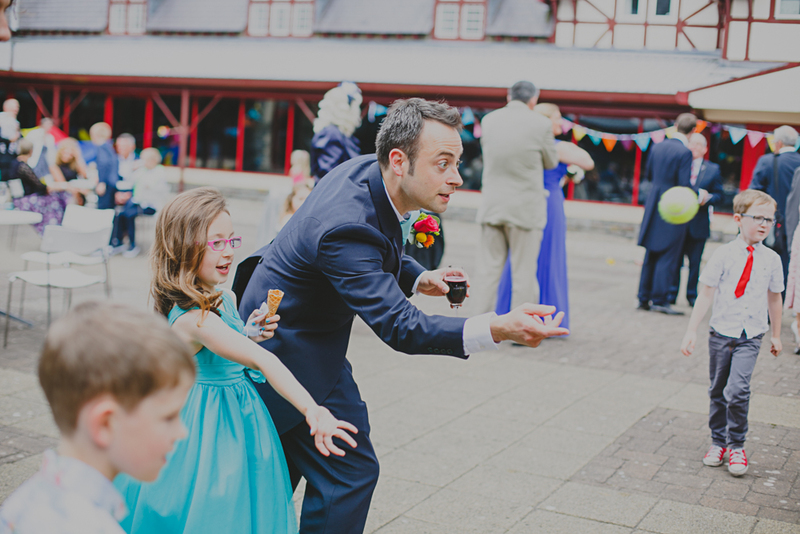 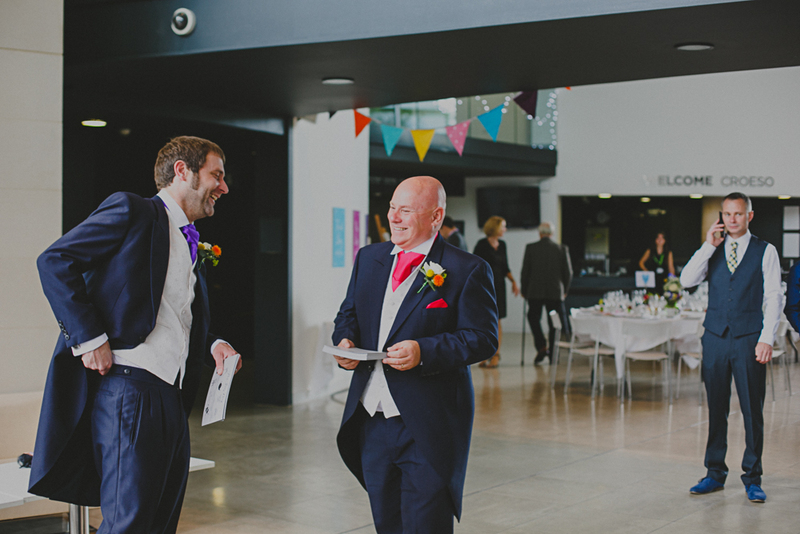 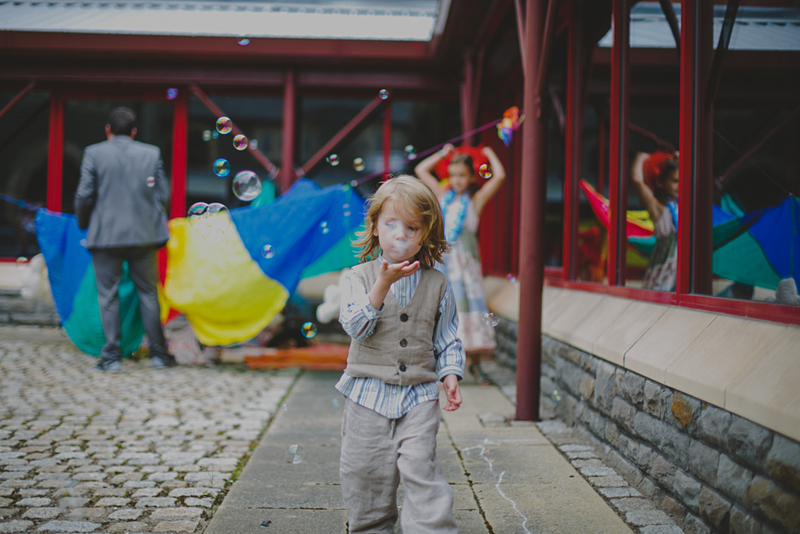 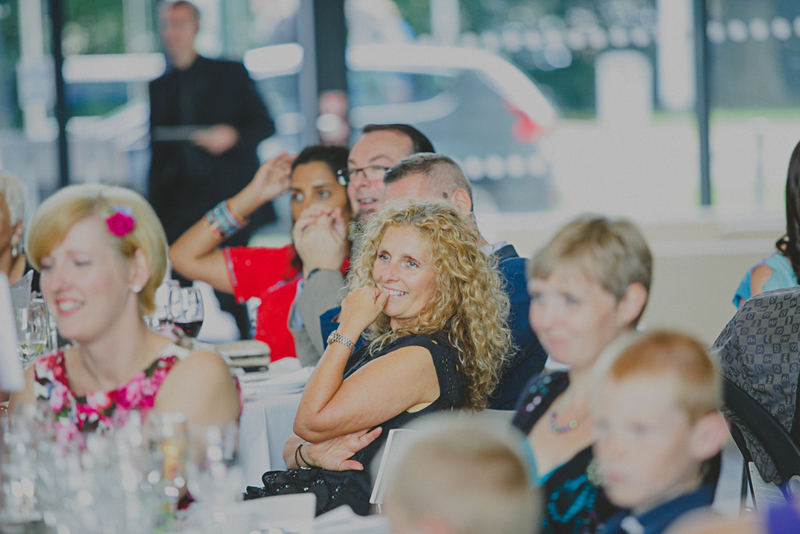 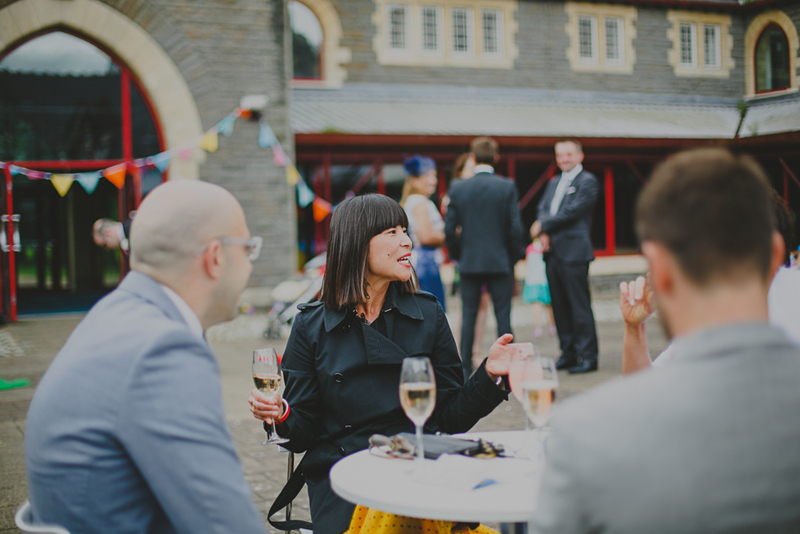 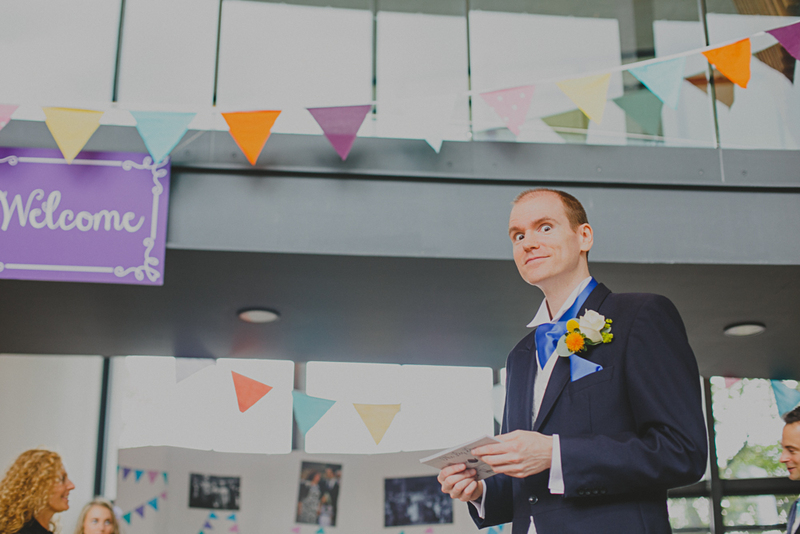 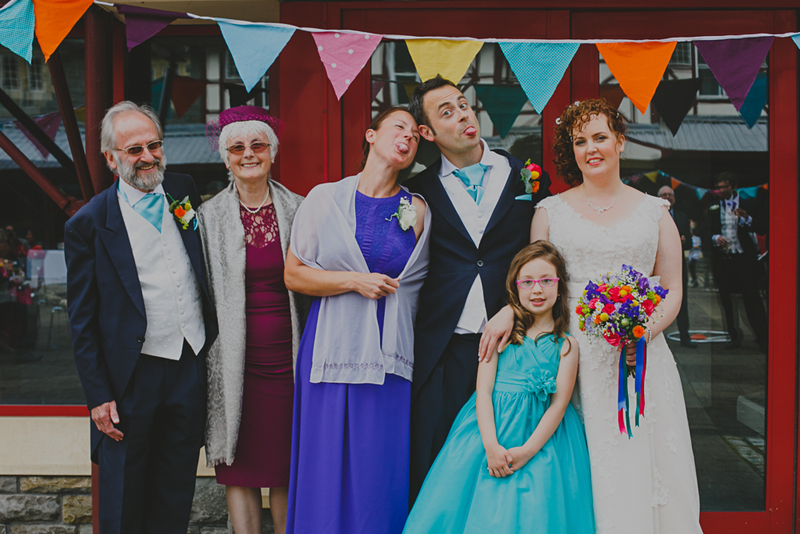 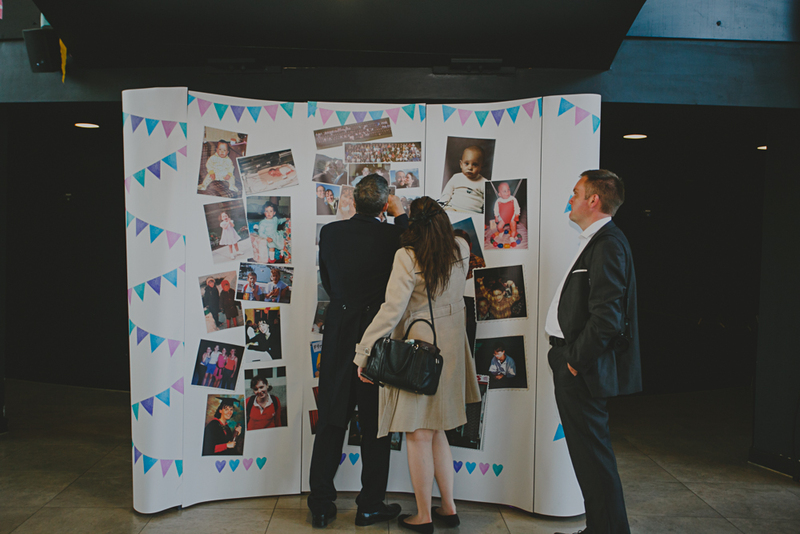 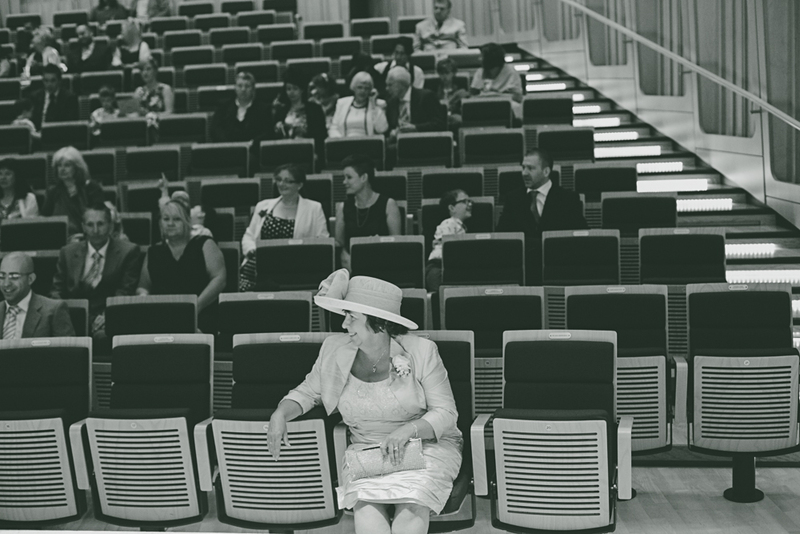 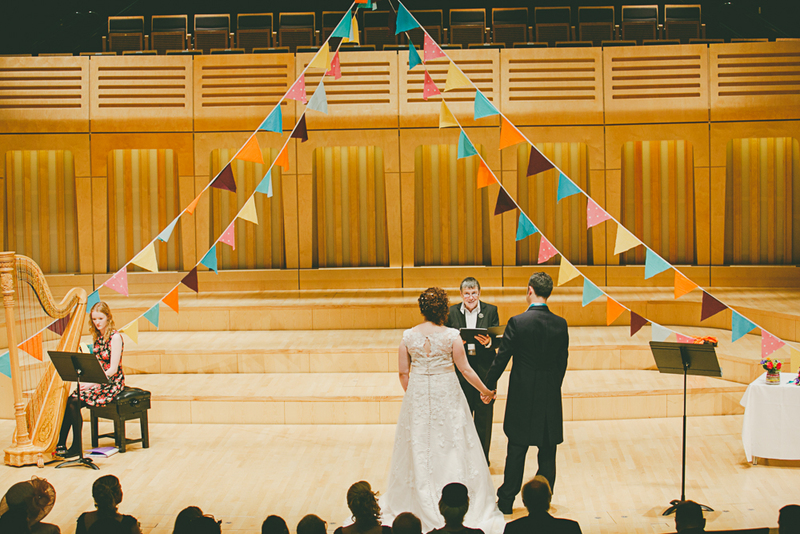 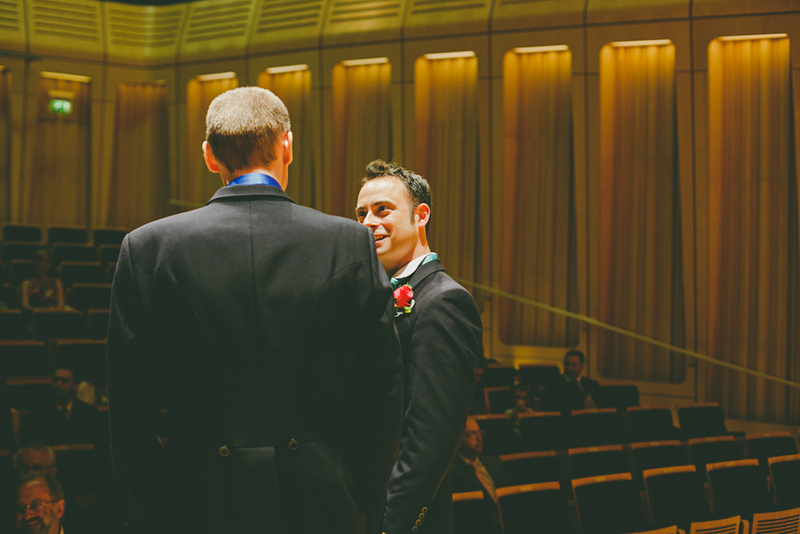 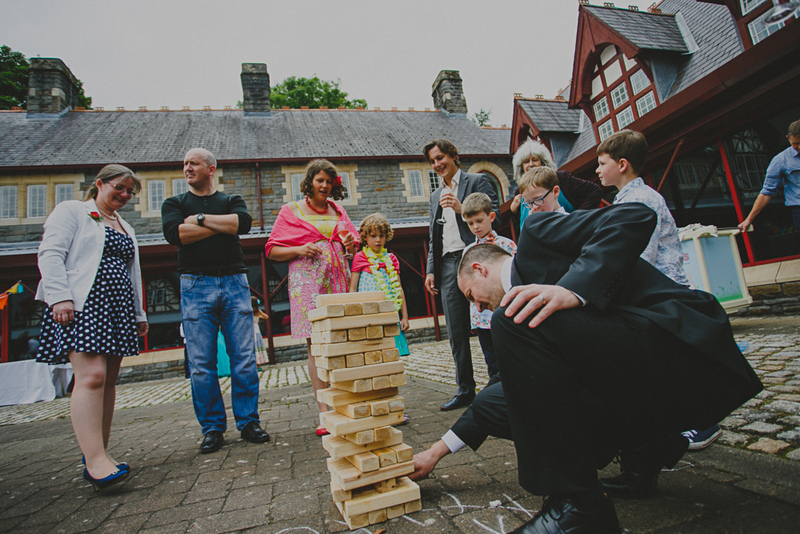 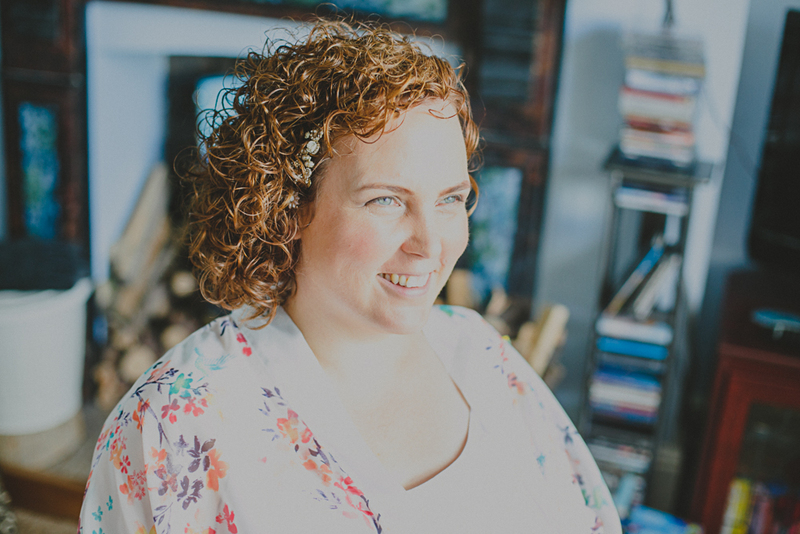 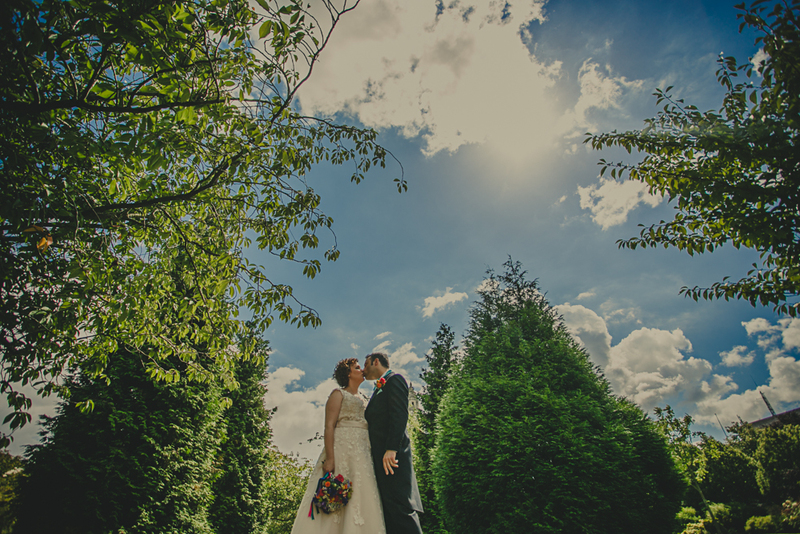 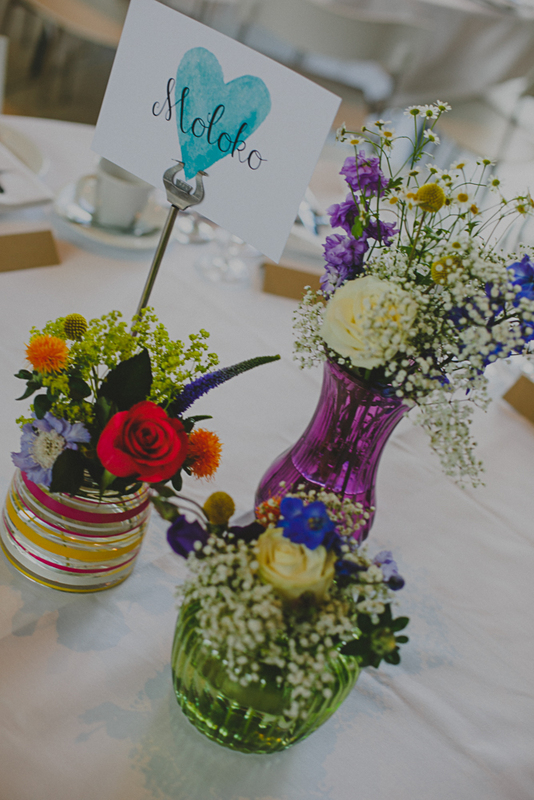 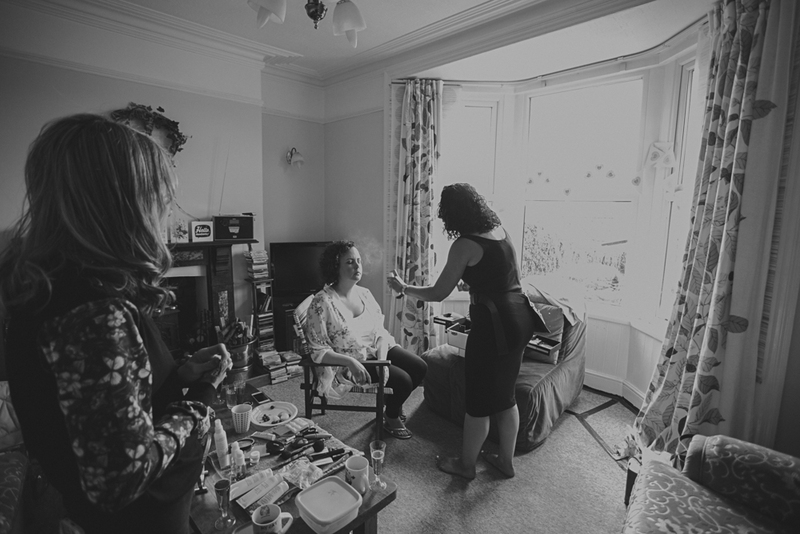 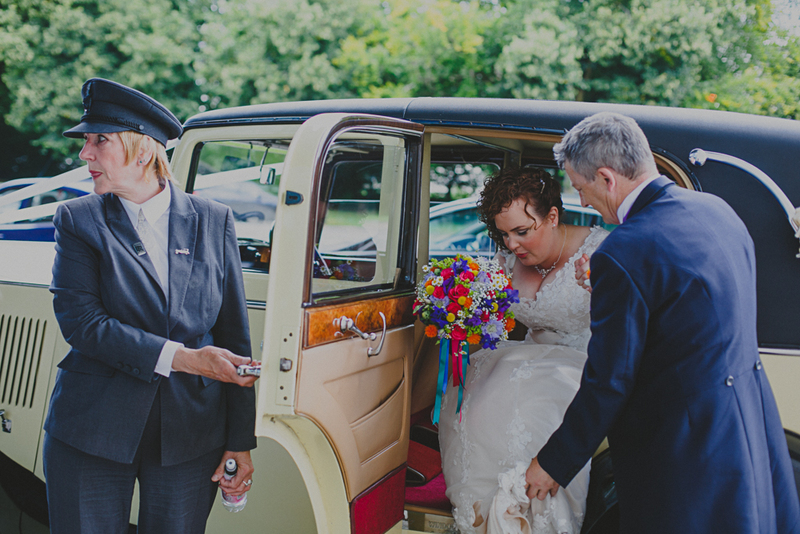 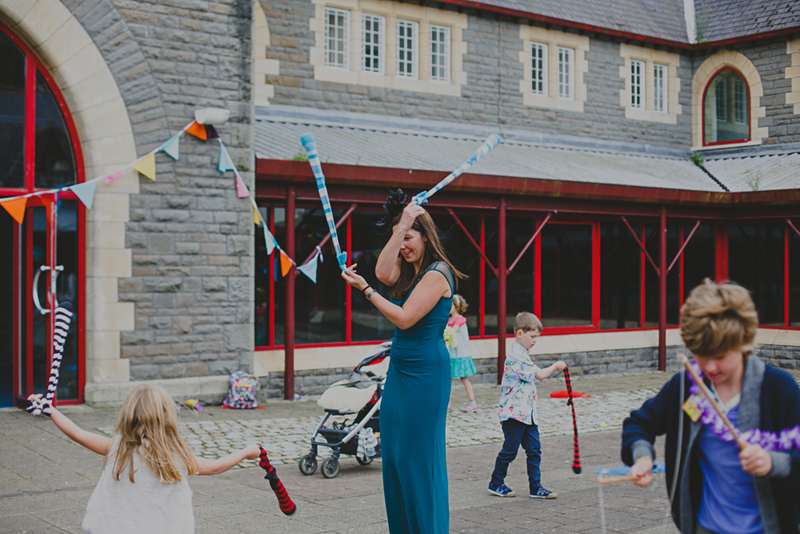 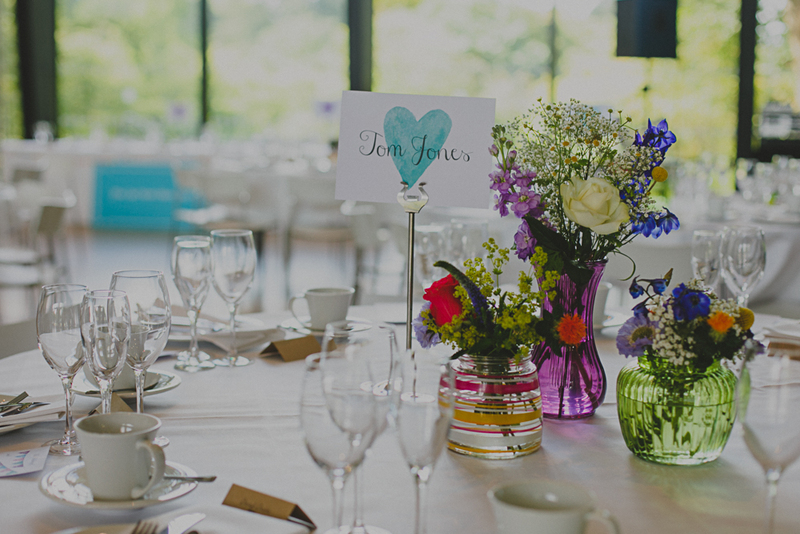 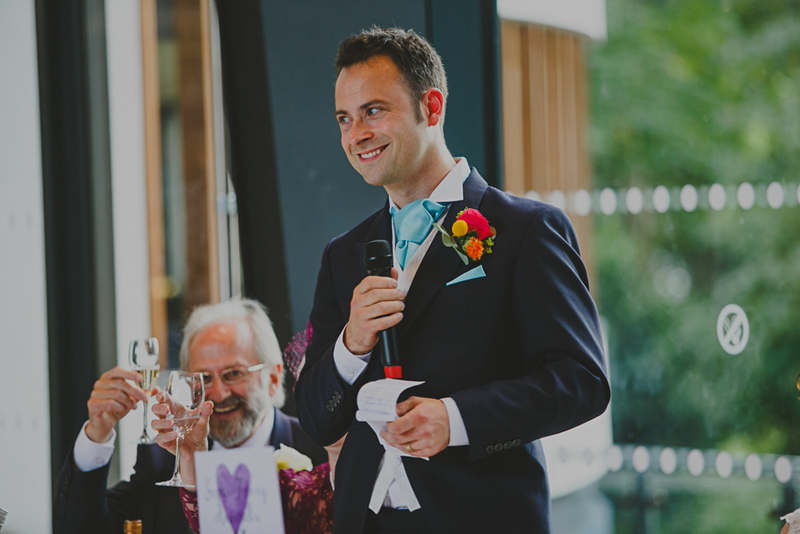 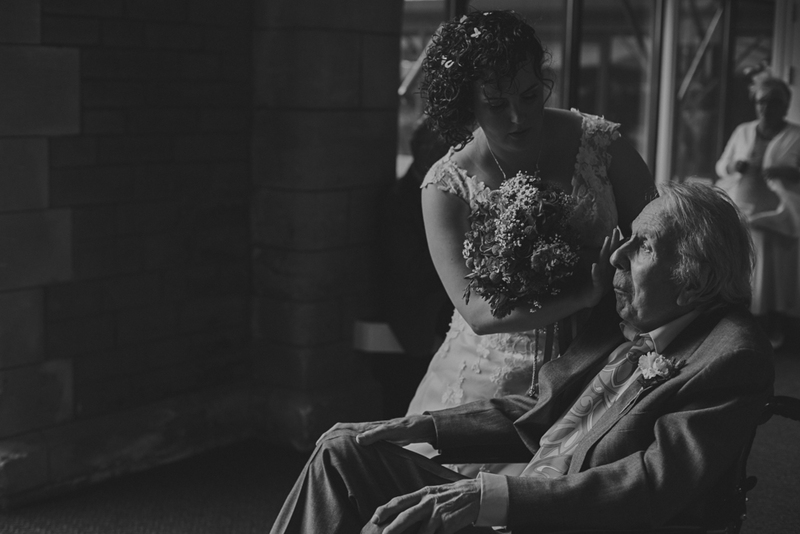 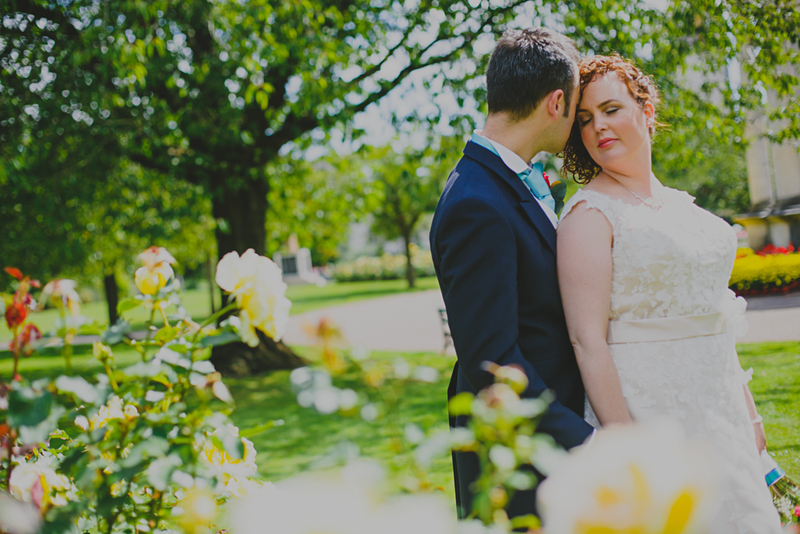 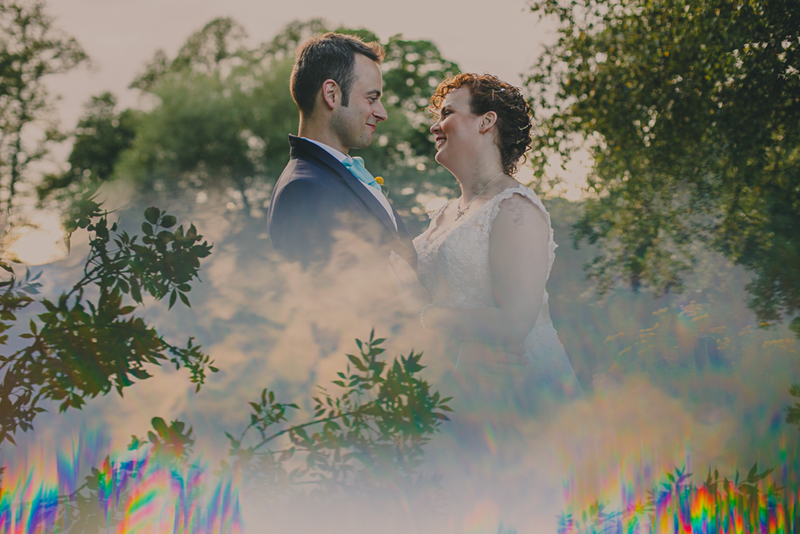 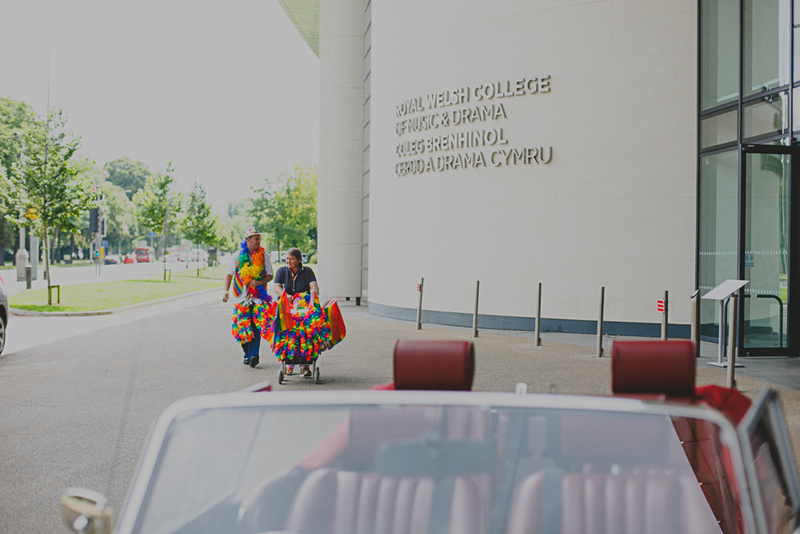 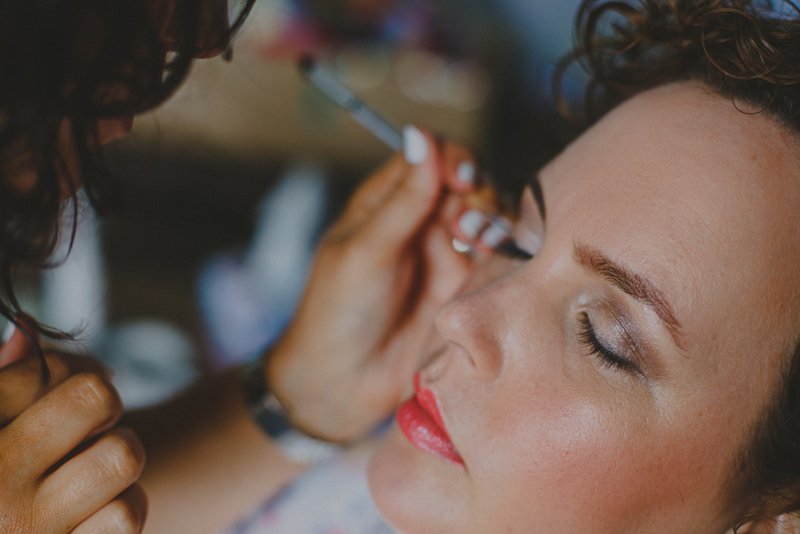 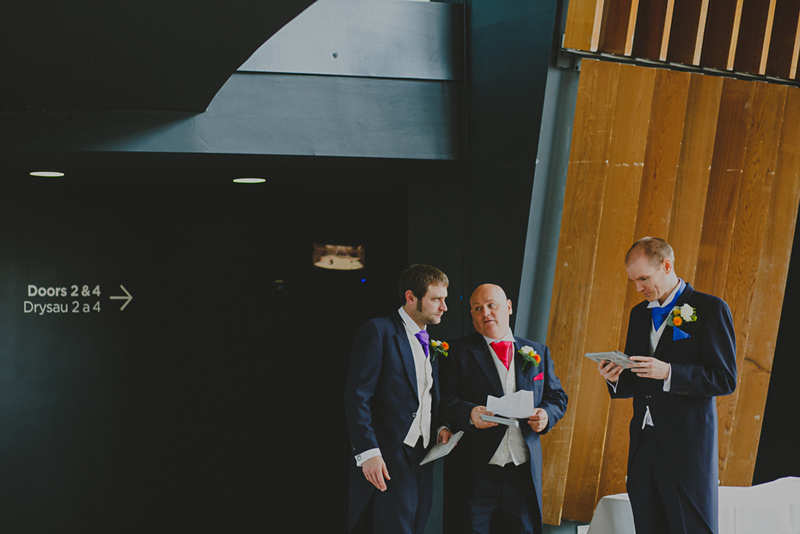 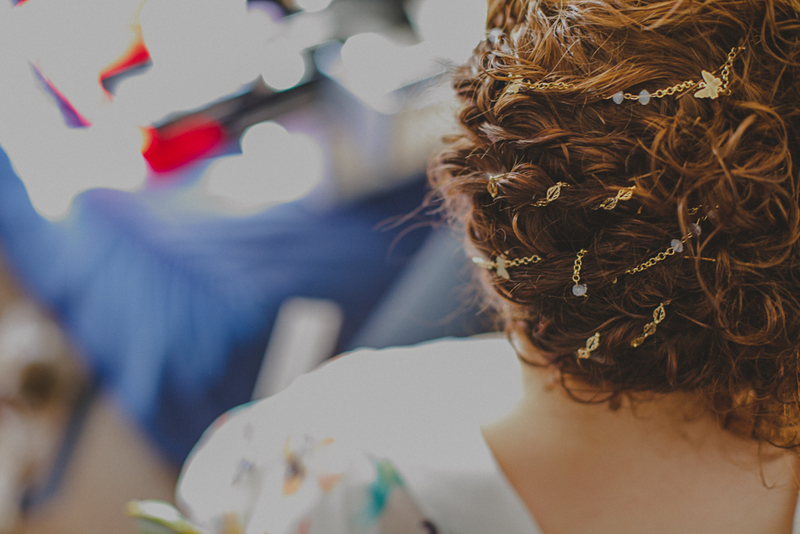 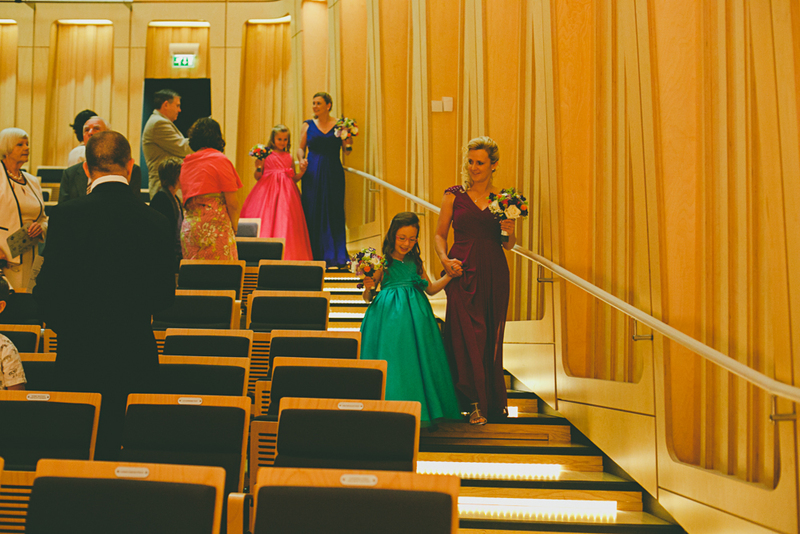 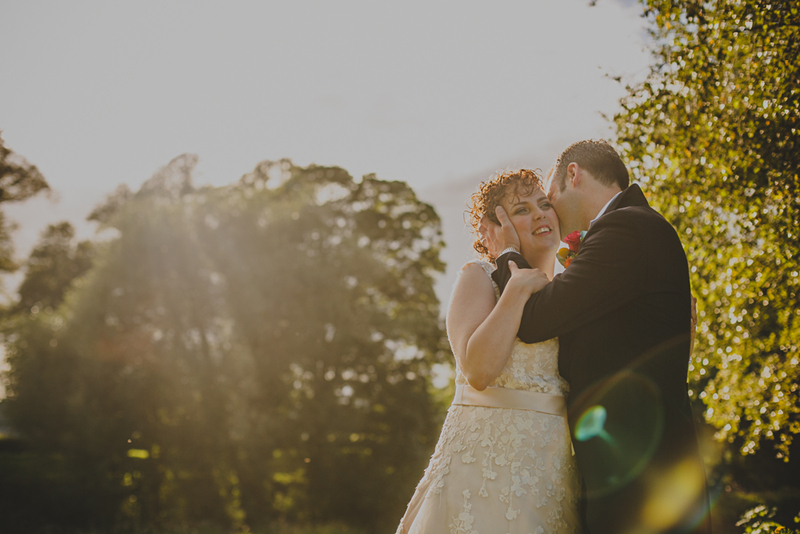 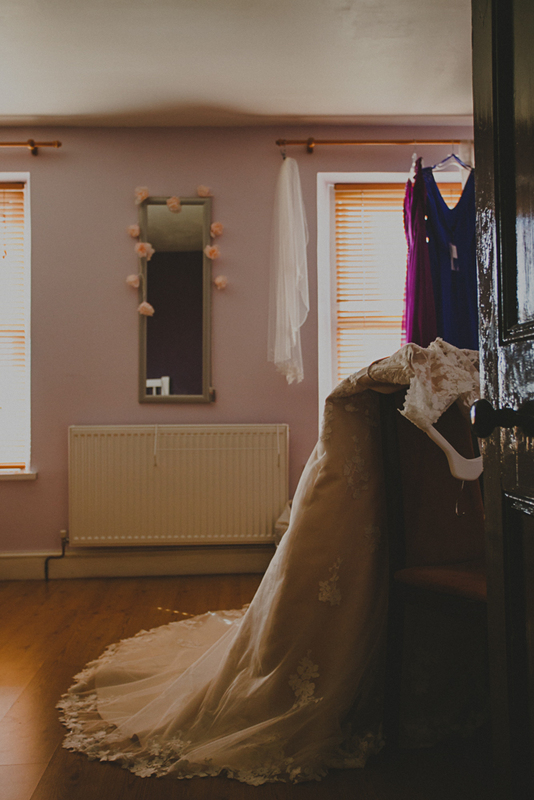 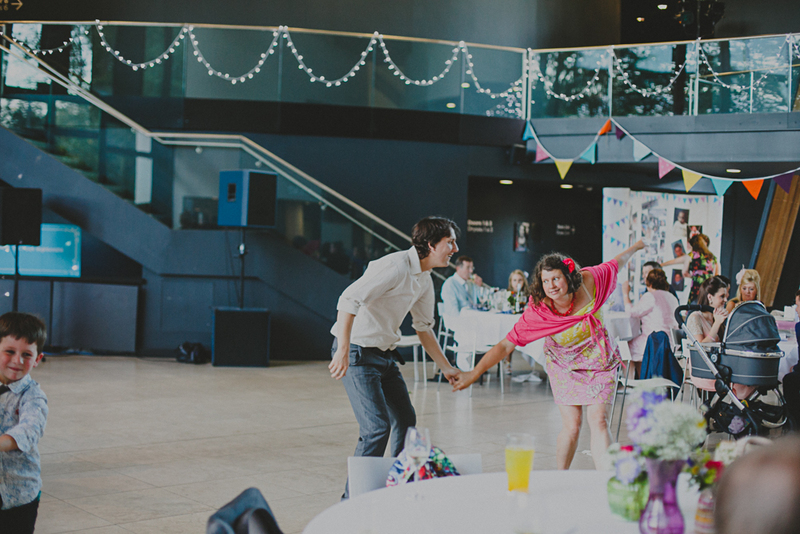 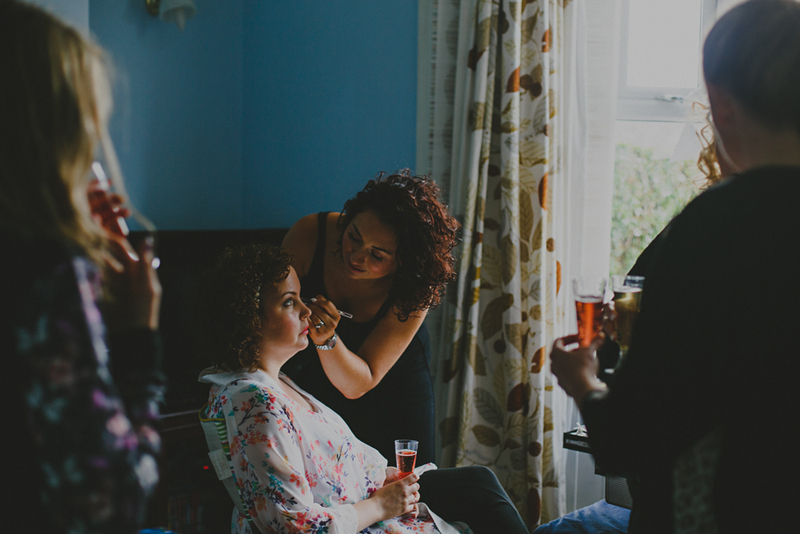 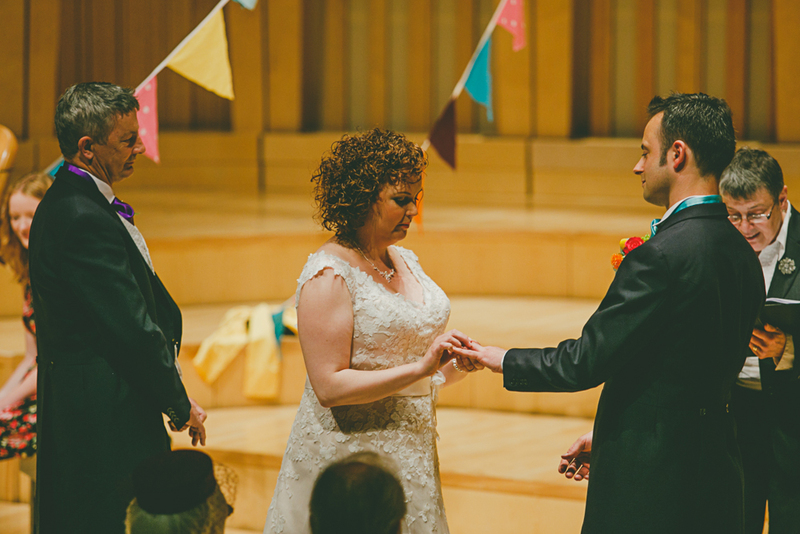 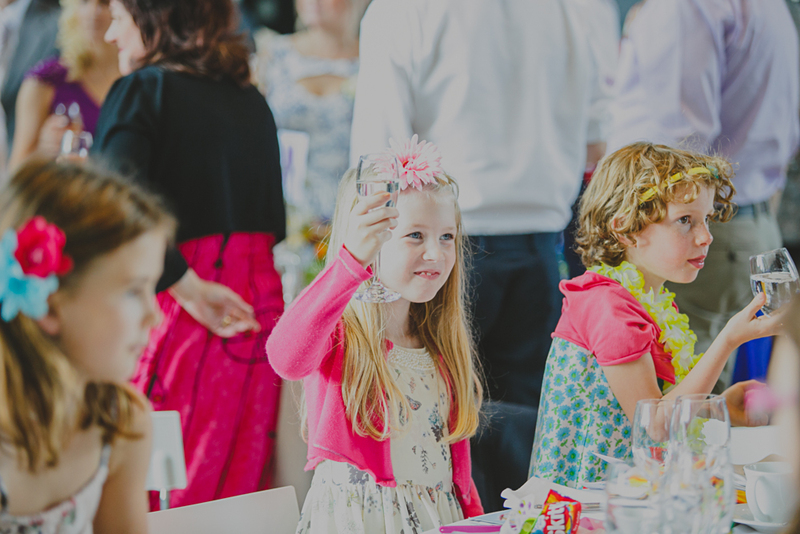 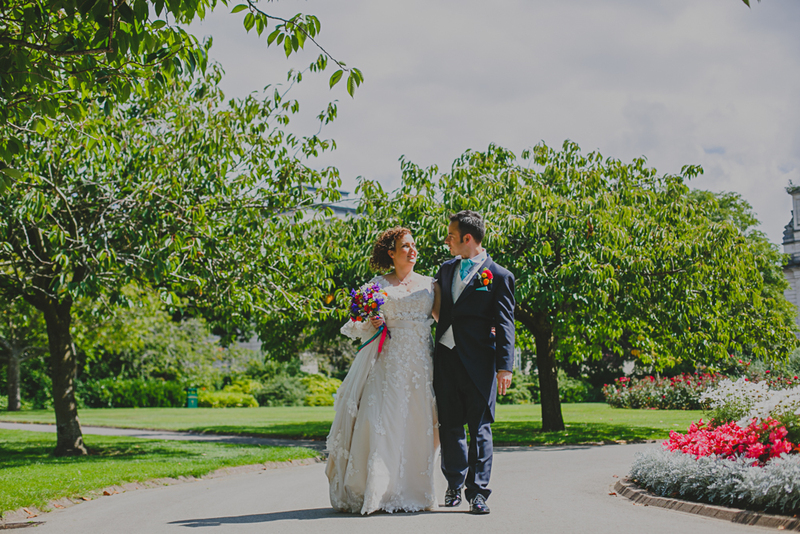 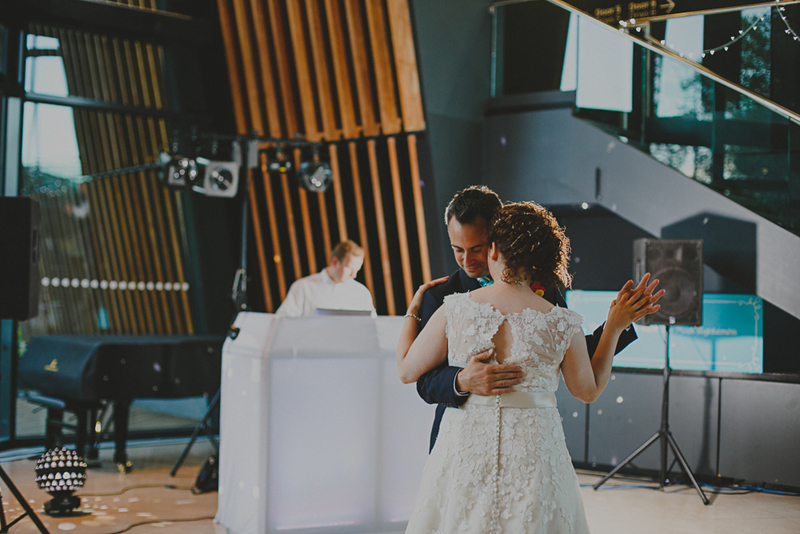 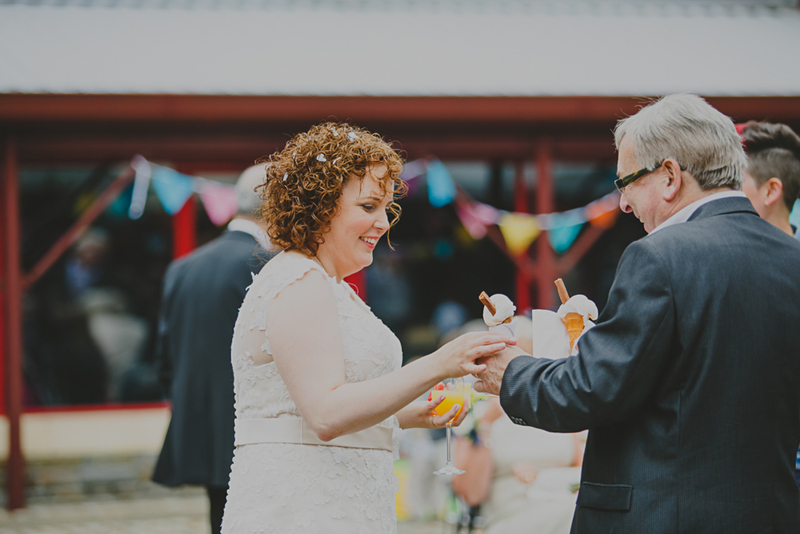 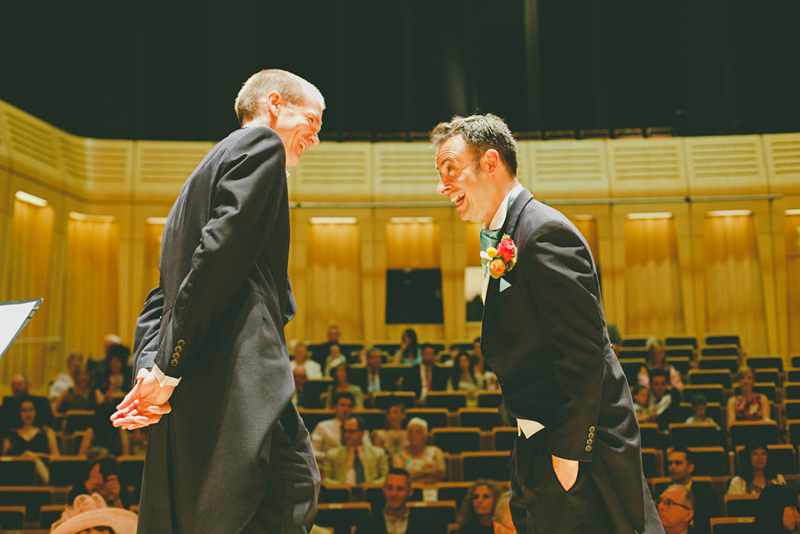 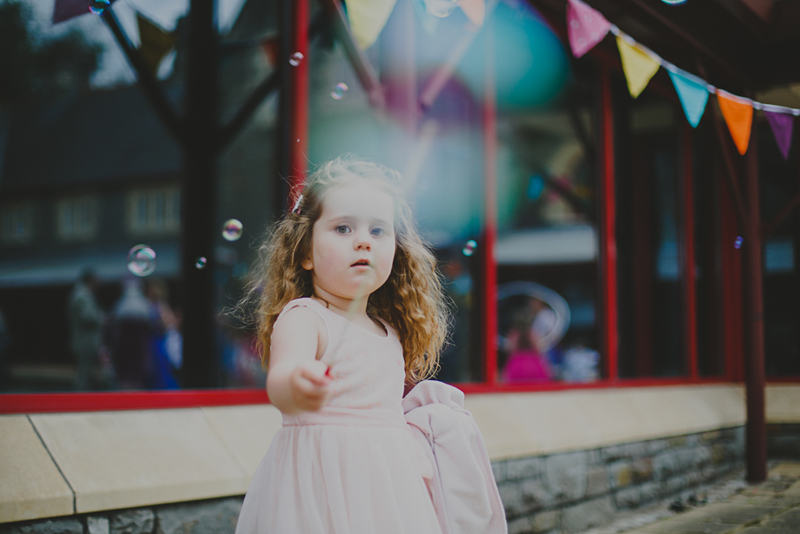 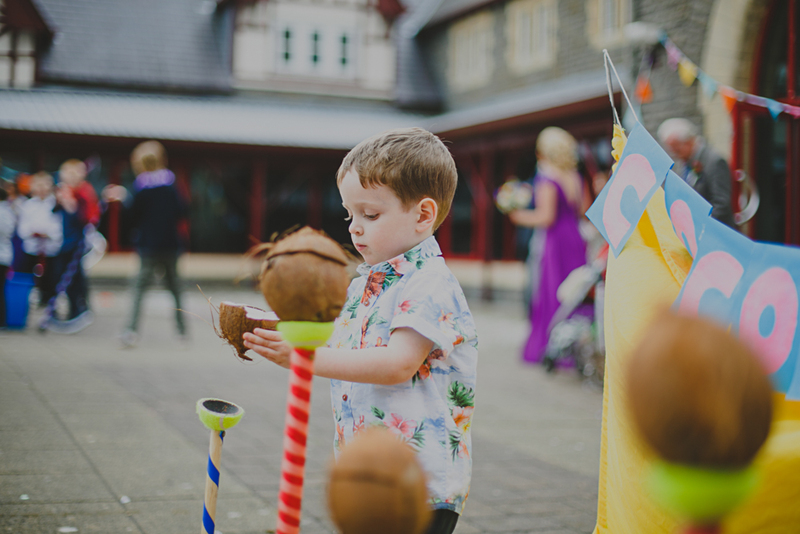 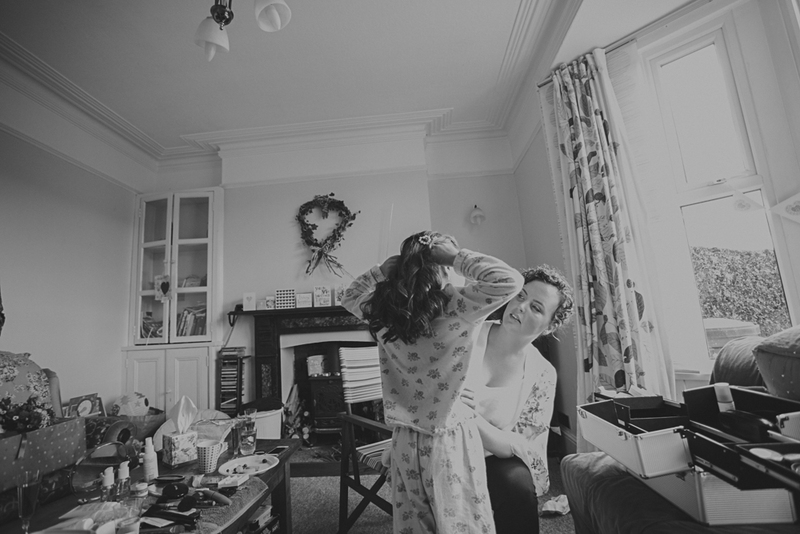 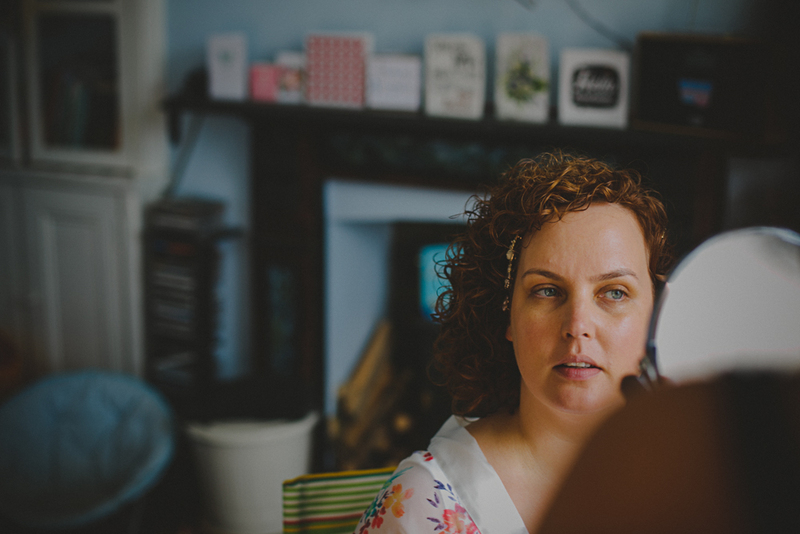 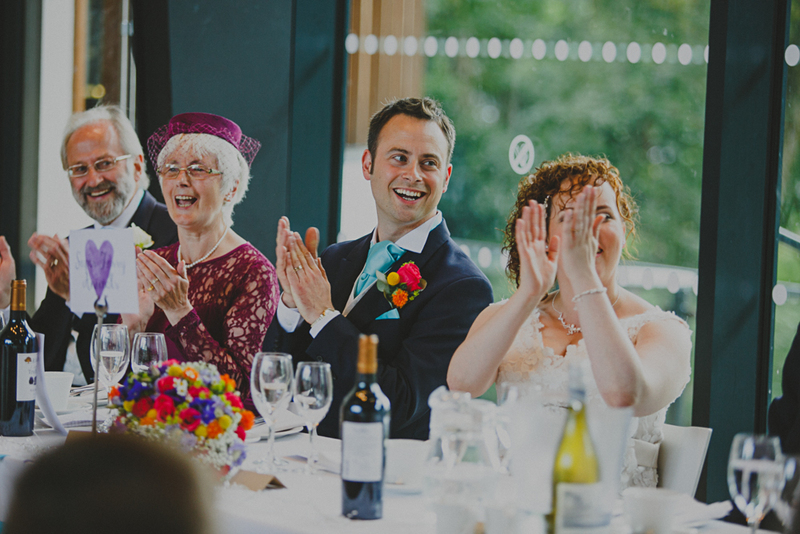 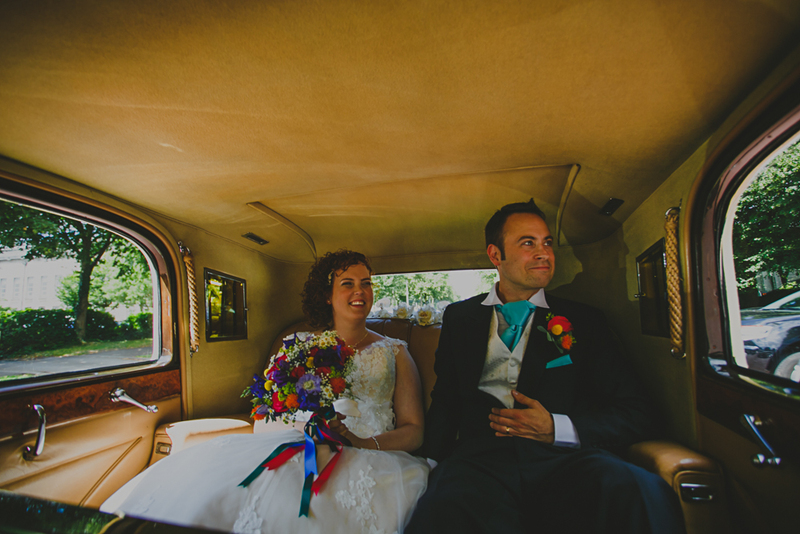 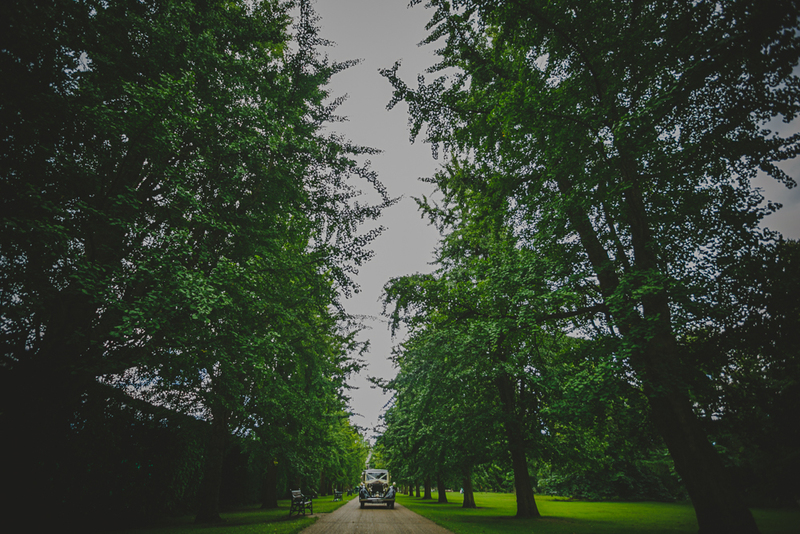 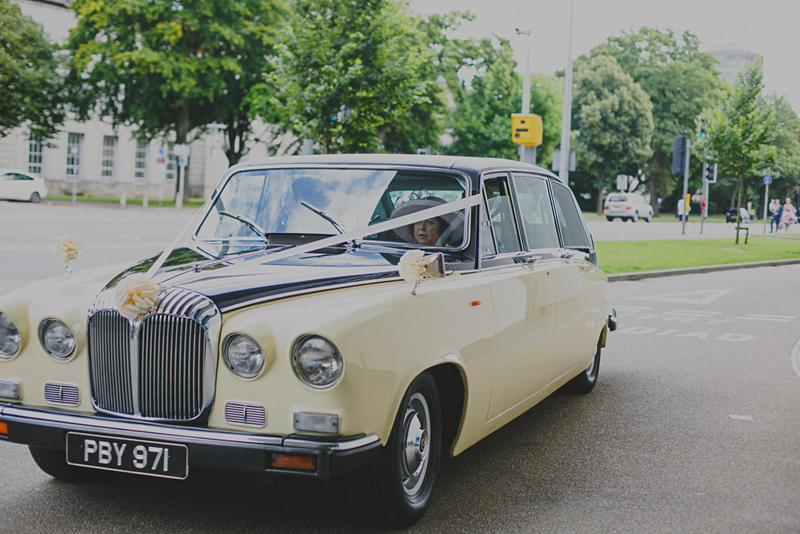 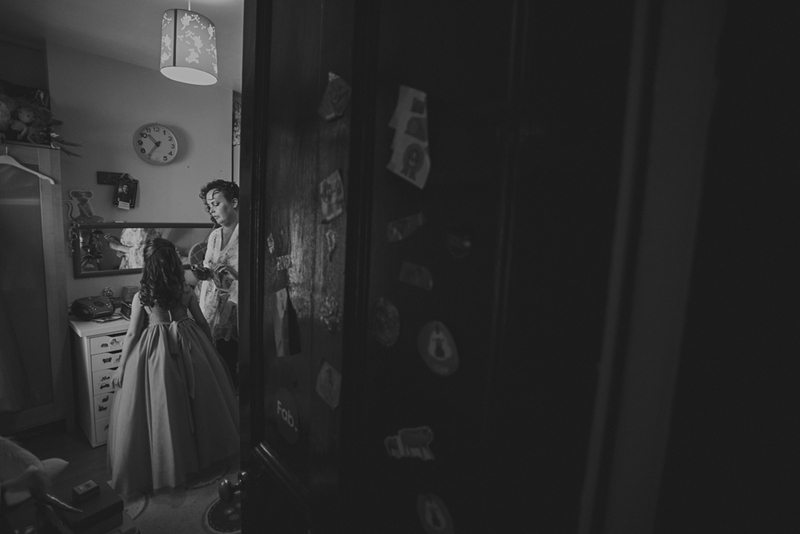 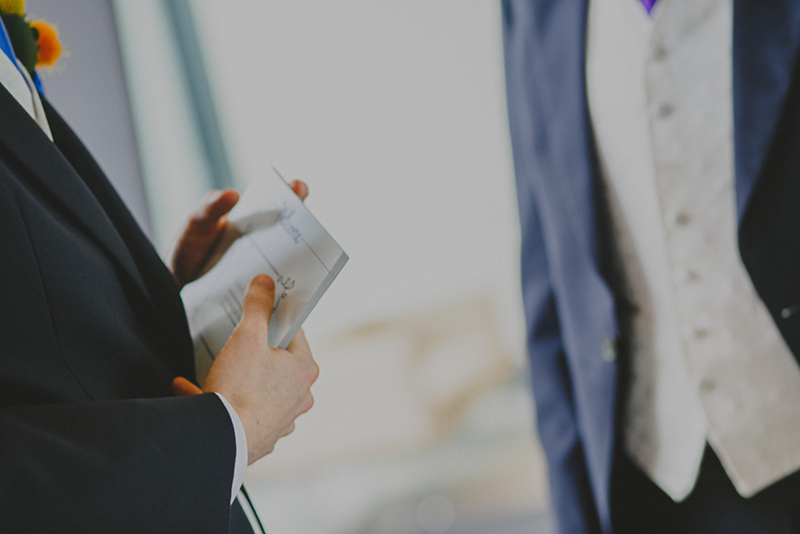 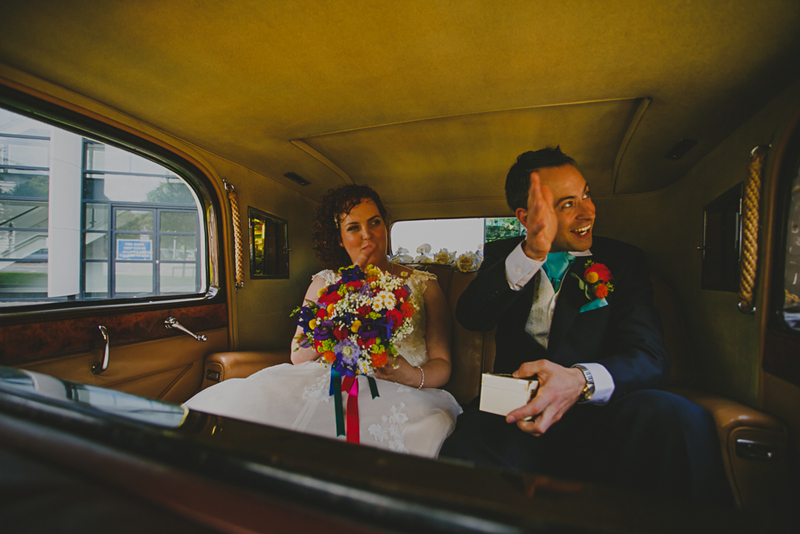 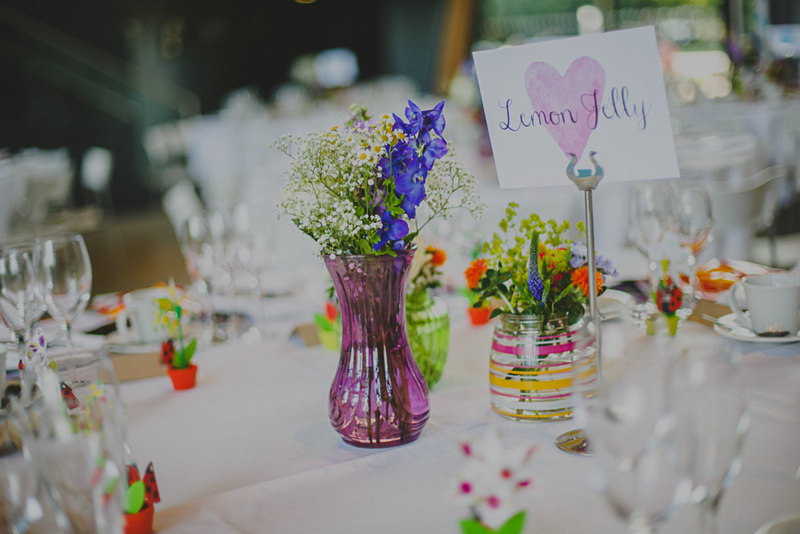 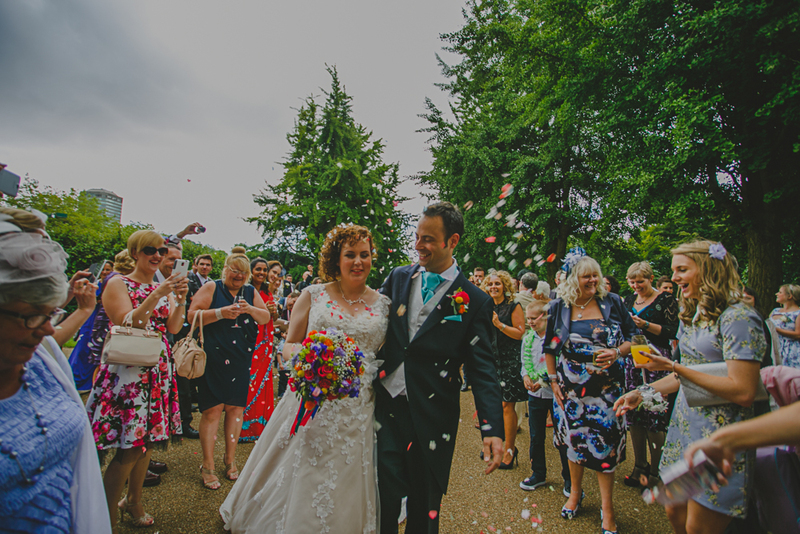 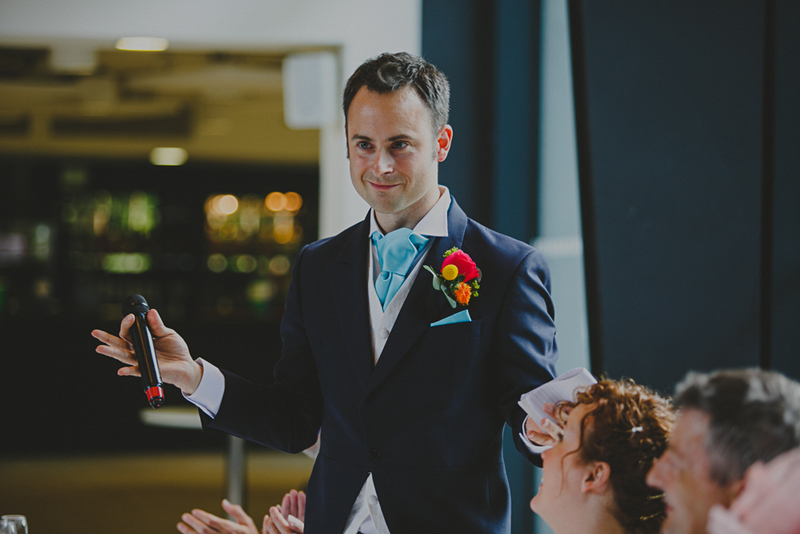 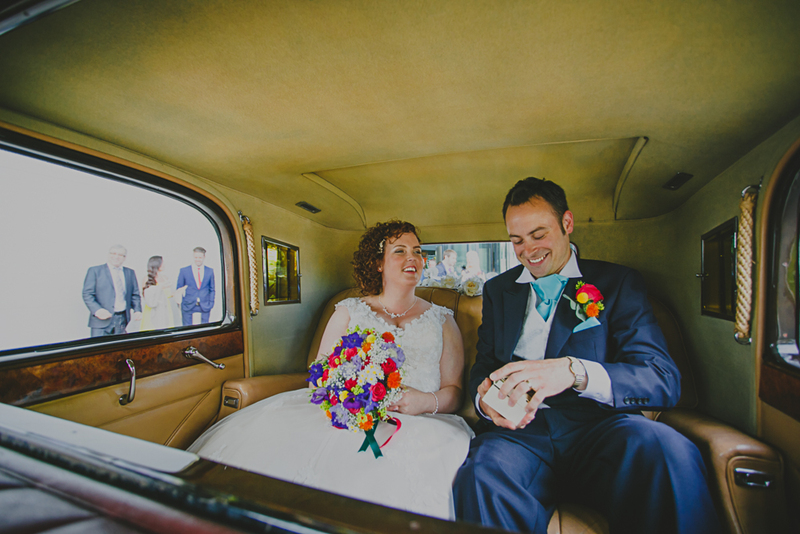 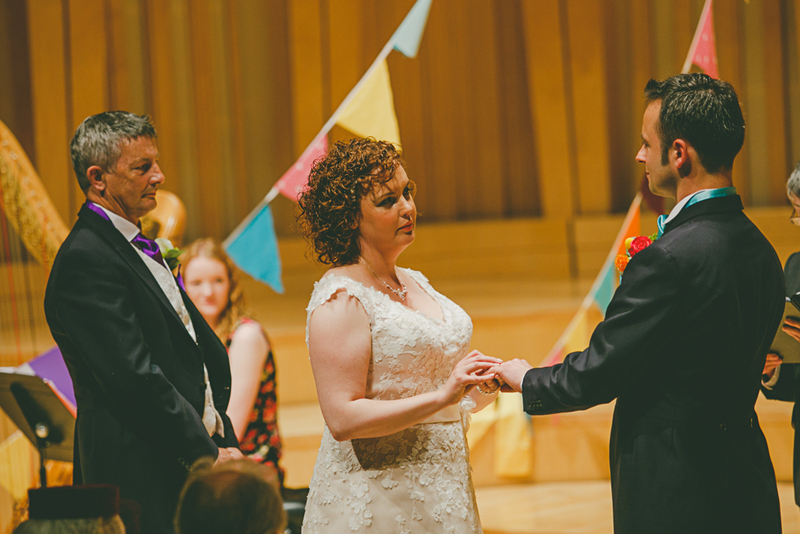 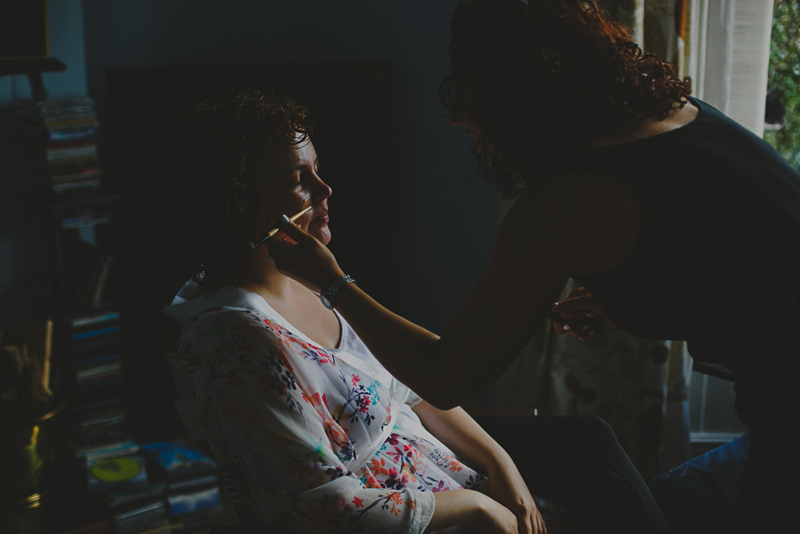 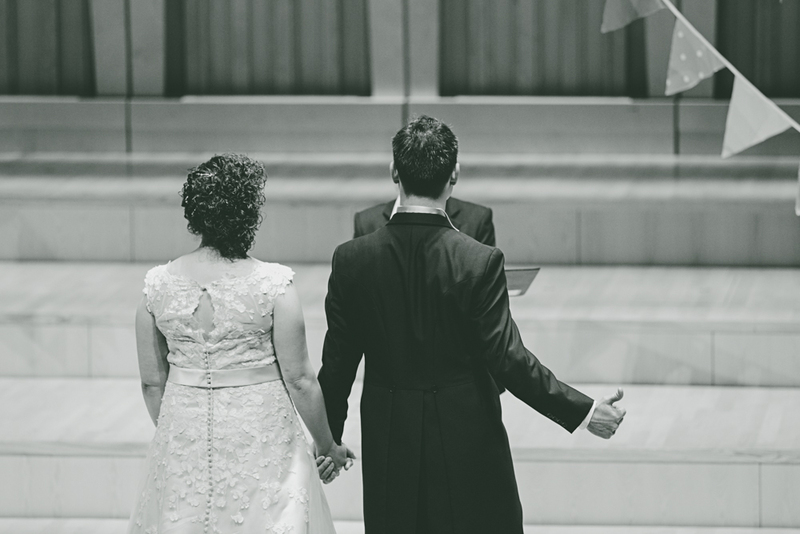 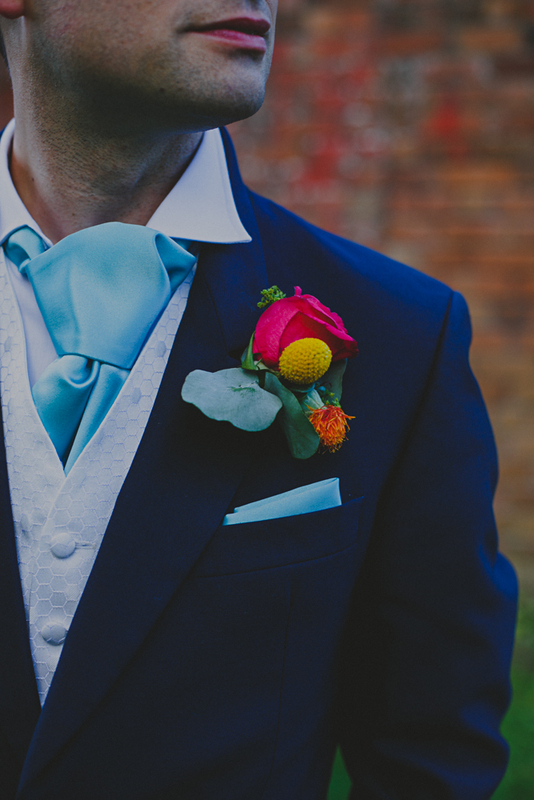 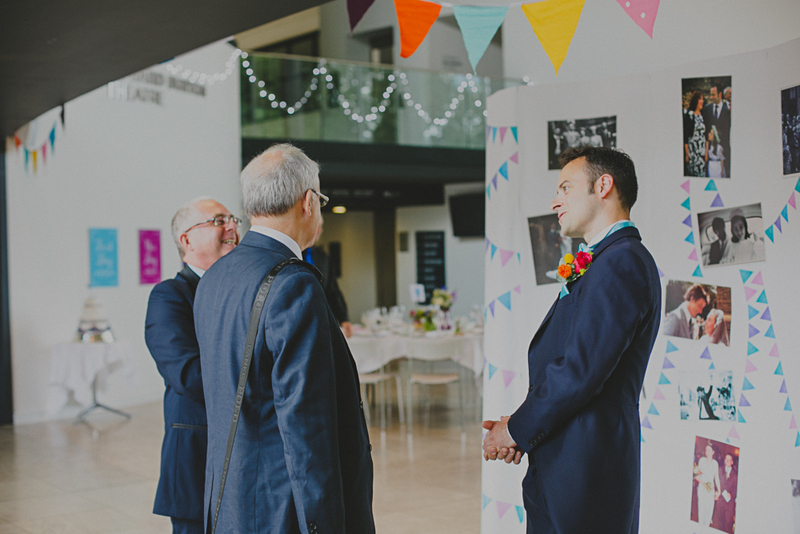 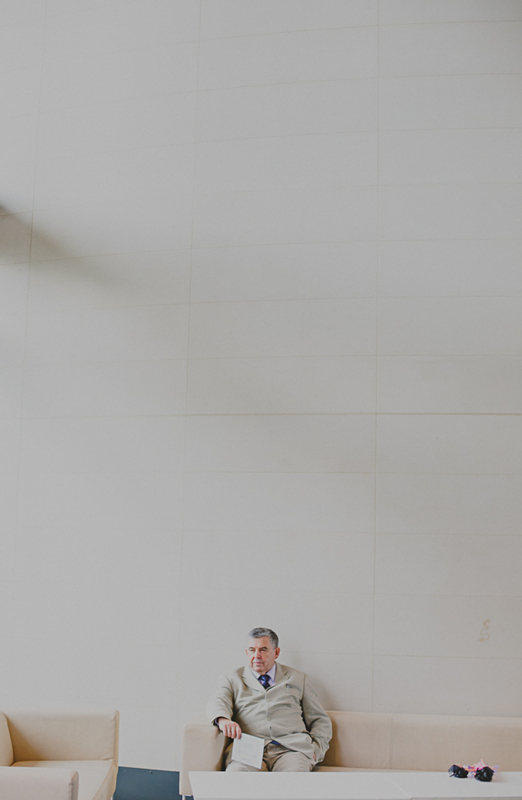 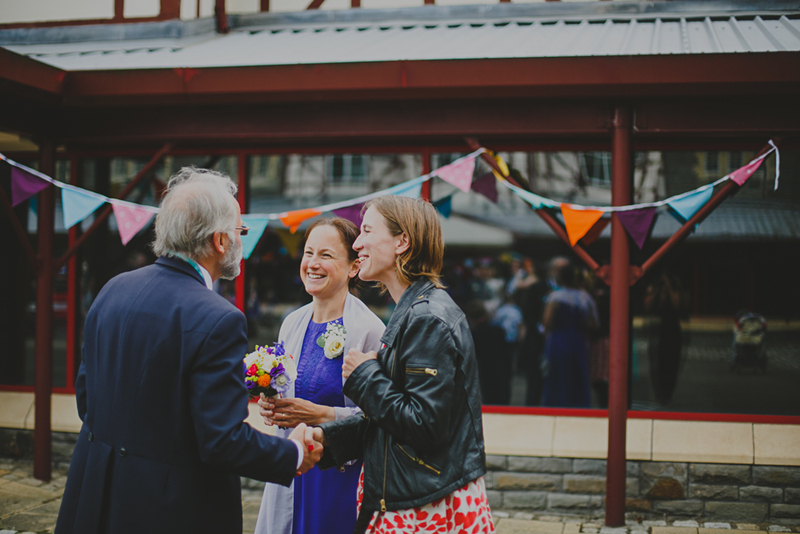 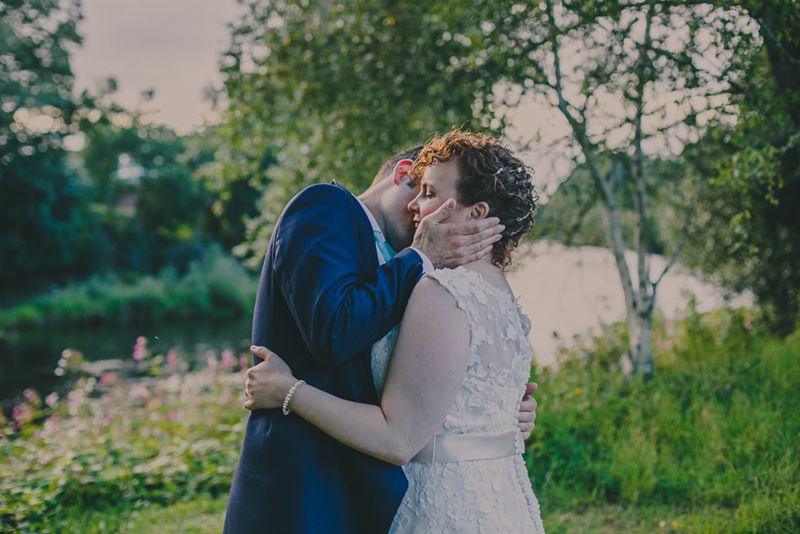 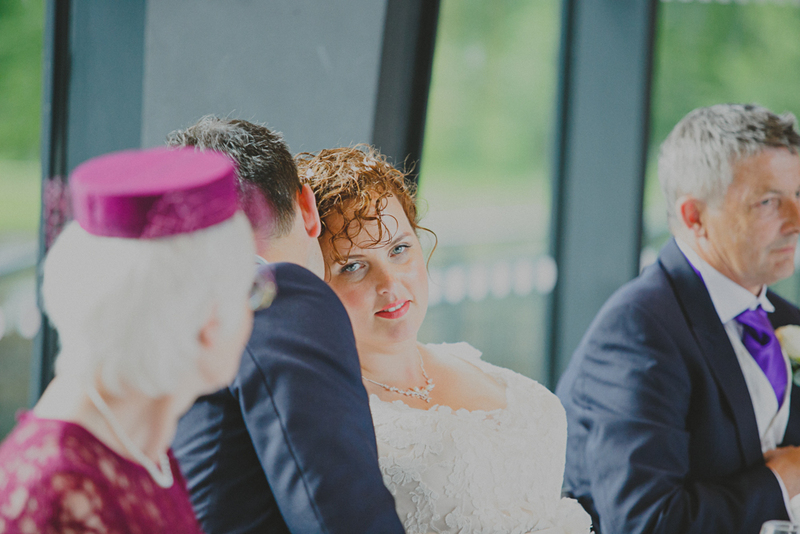 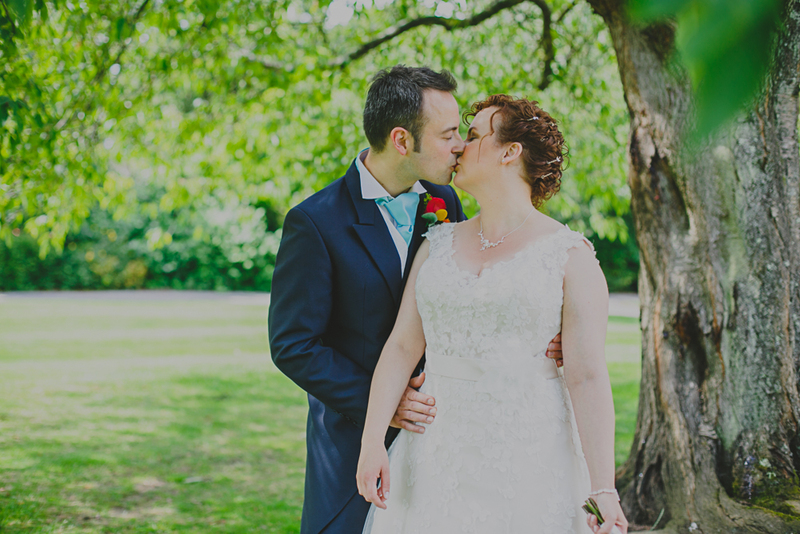 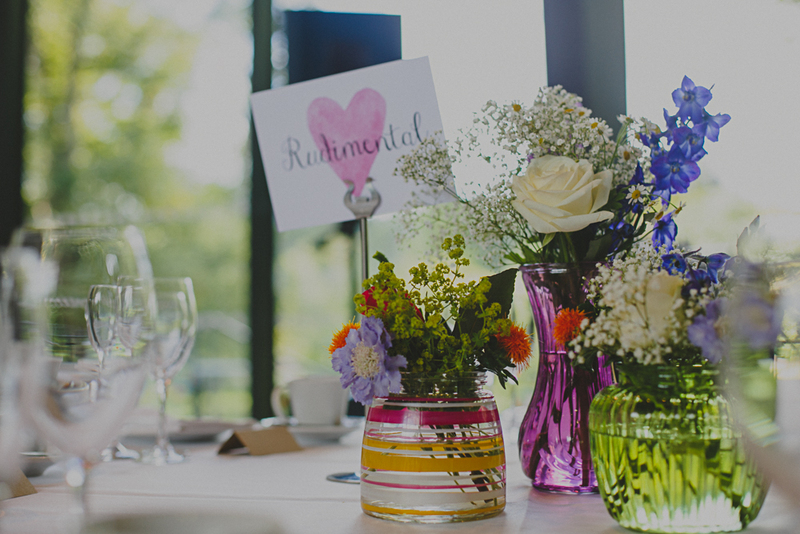 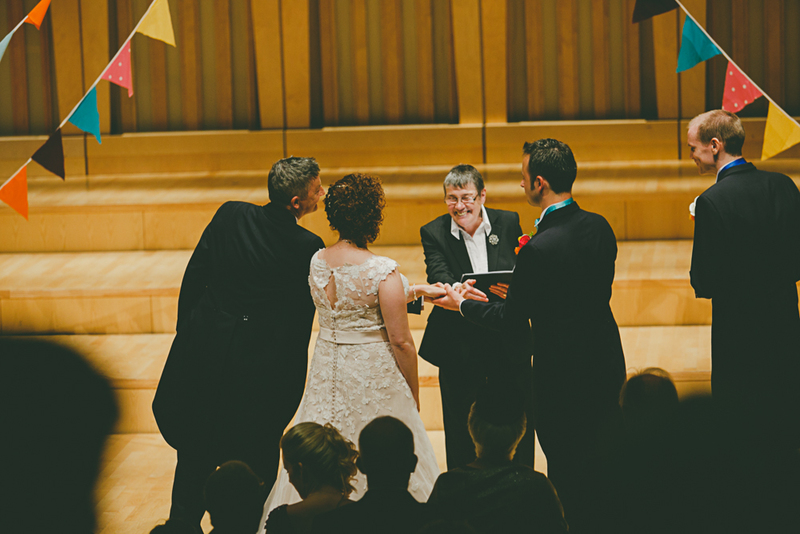 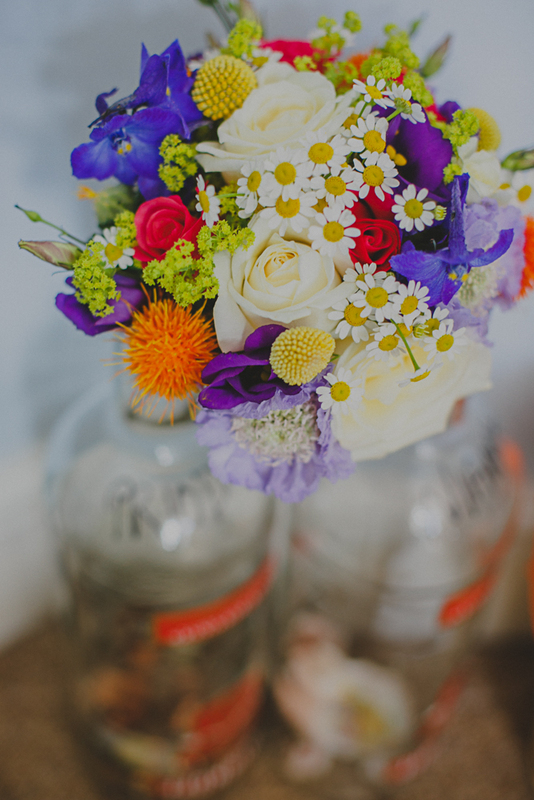 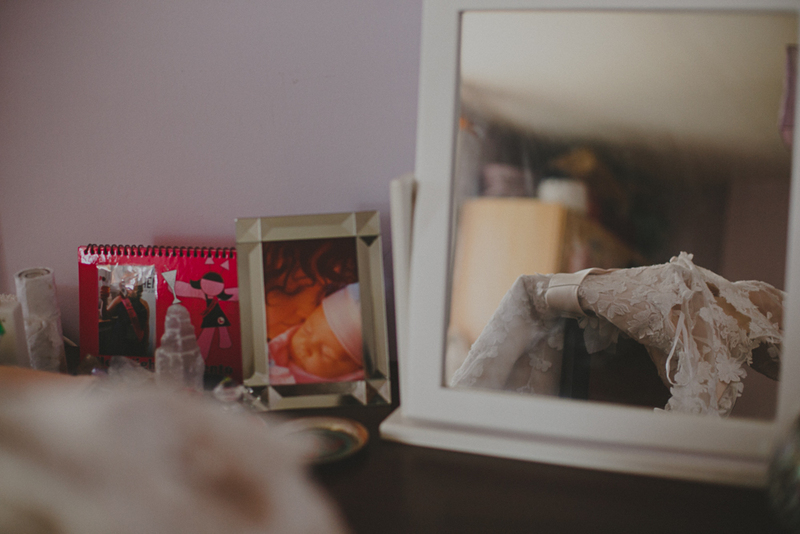 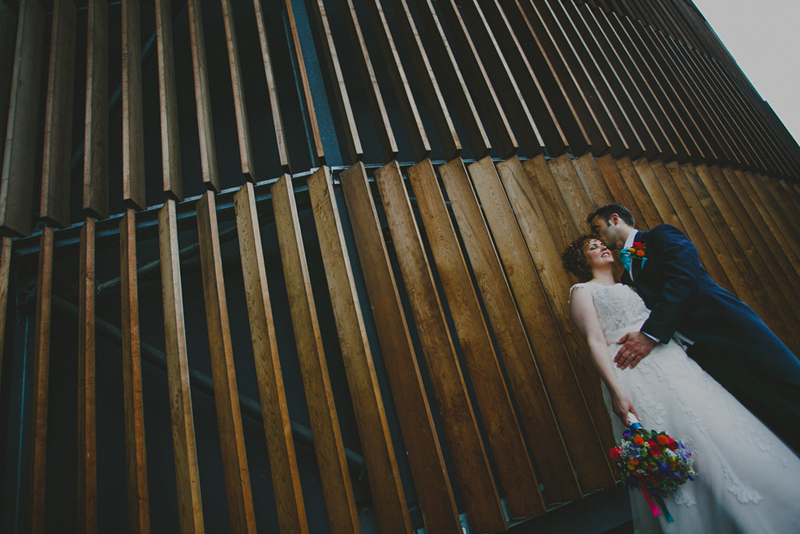 RWCMD – makes an incredible location for wedding photography – the building itself is modern, yet backs onto to Bute Park where the Mardi Gras festival happened to be on the same day. 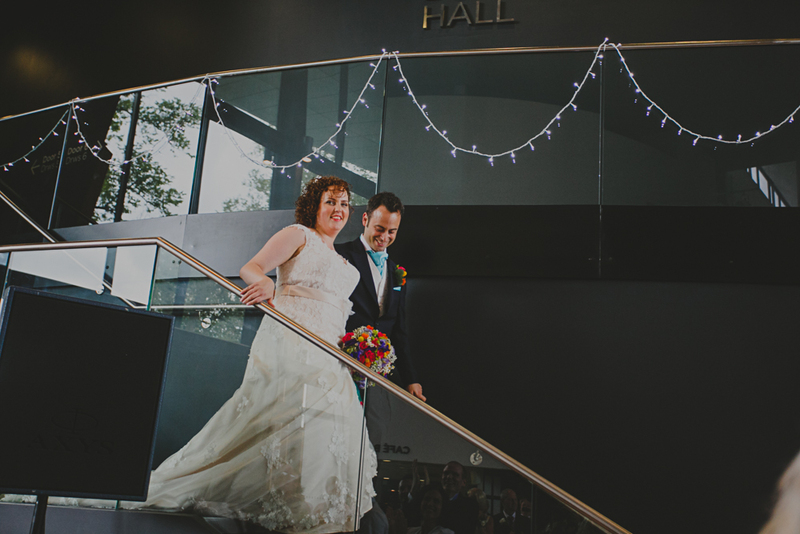 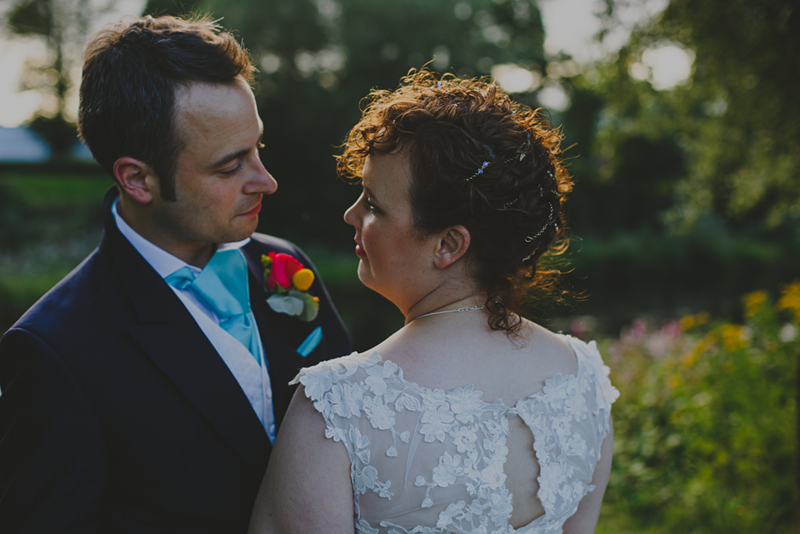 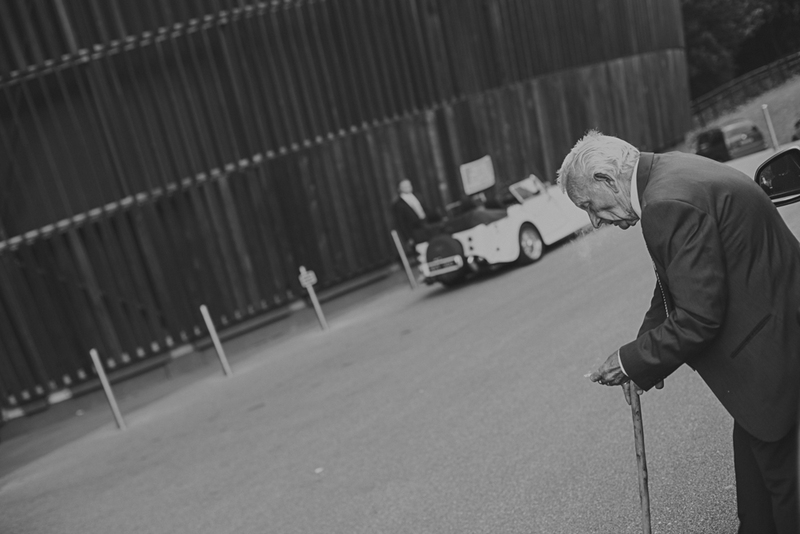 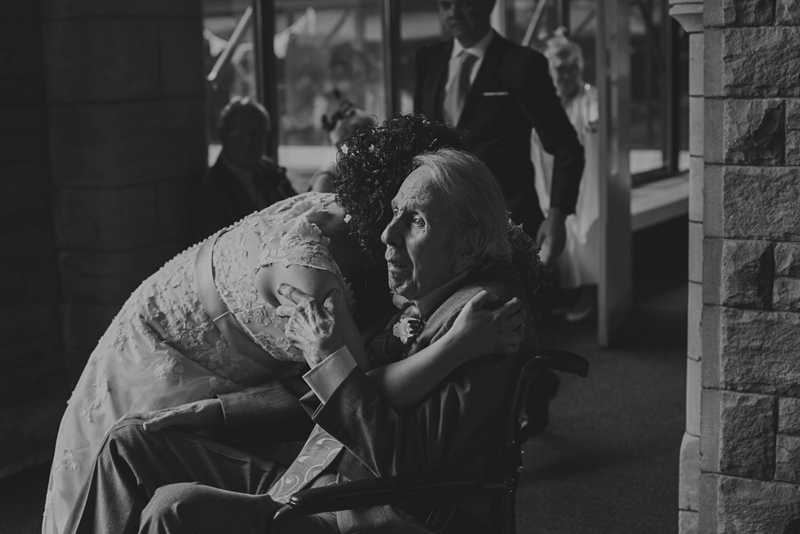 Richard and April made it a day to remember. 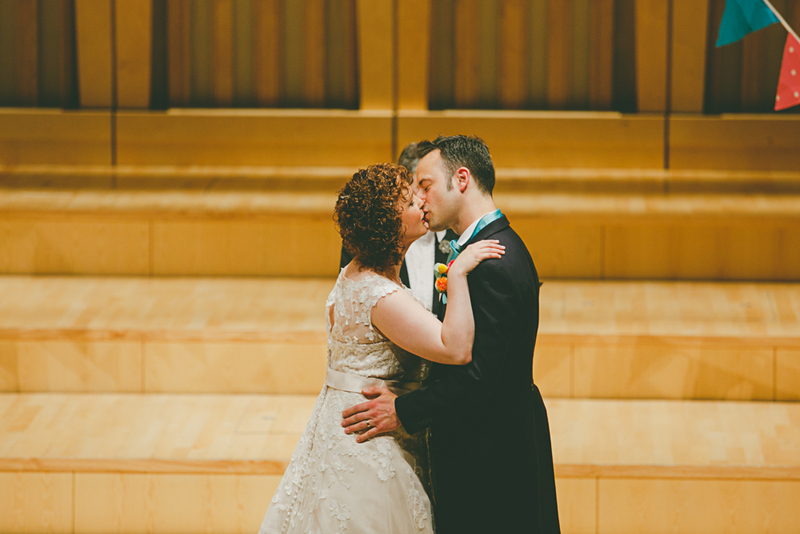 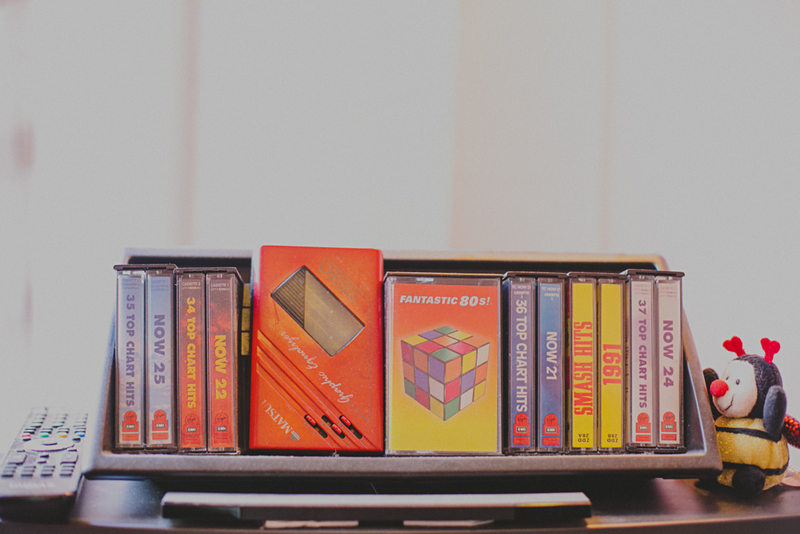 The whole day was filled with music, love and light. 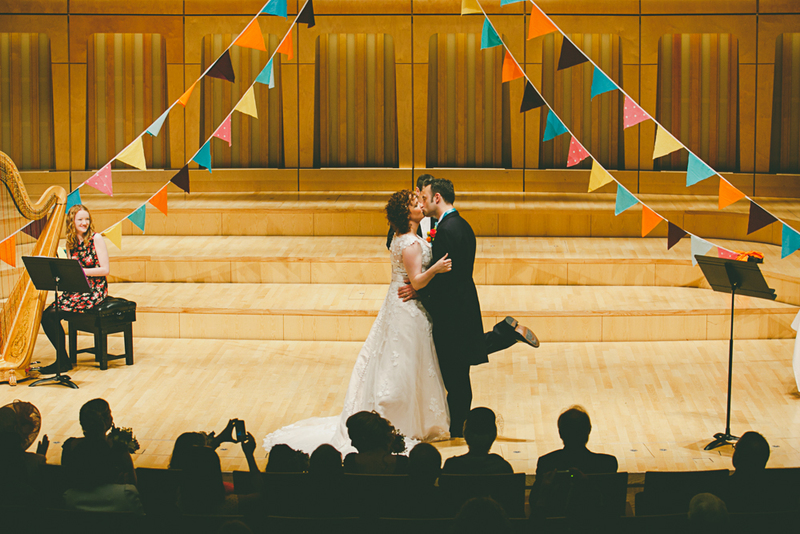 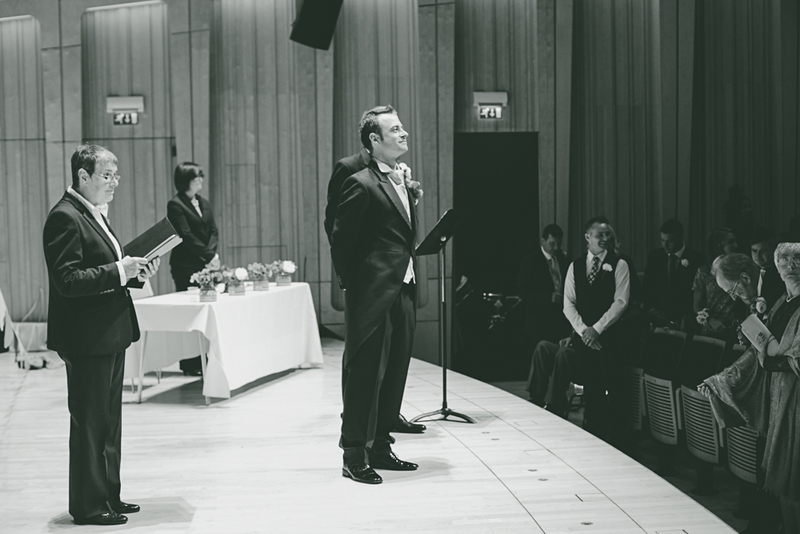 Having a wedding on stage is a genius idea! 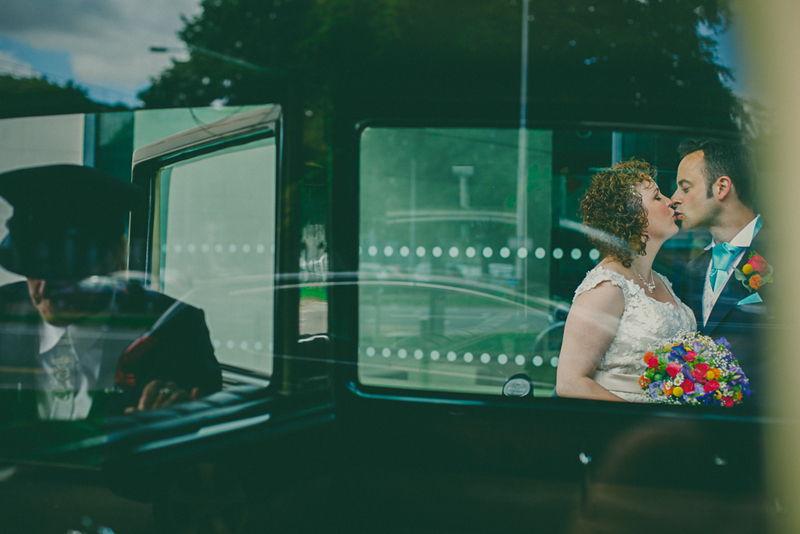 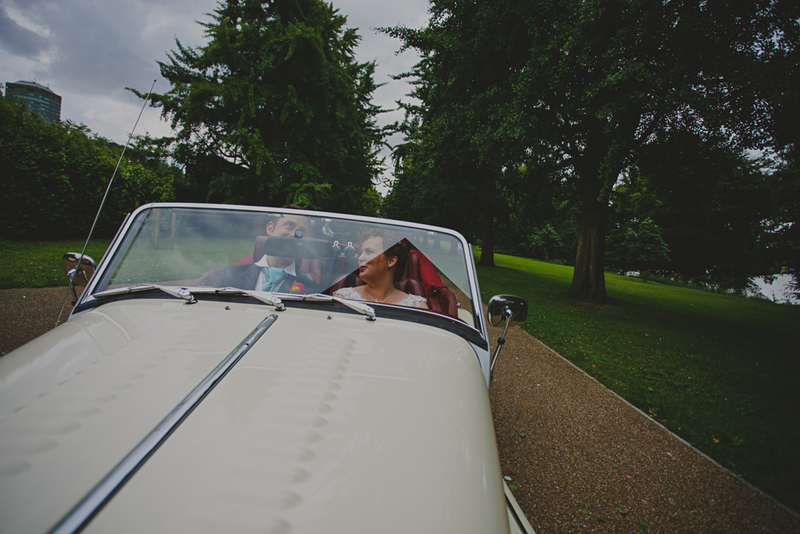 After the heart-felt ceremony complete with music and film themed excerpts from friends, we left in the wedding car for a trip to Cardiff’s Alexandria Gardens for some reflective time and photographs. 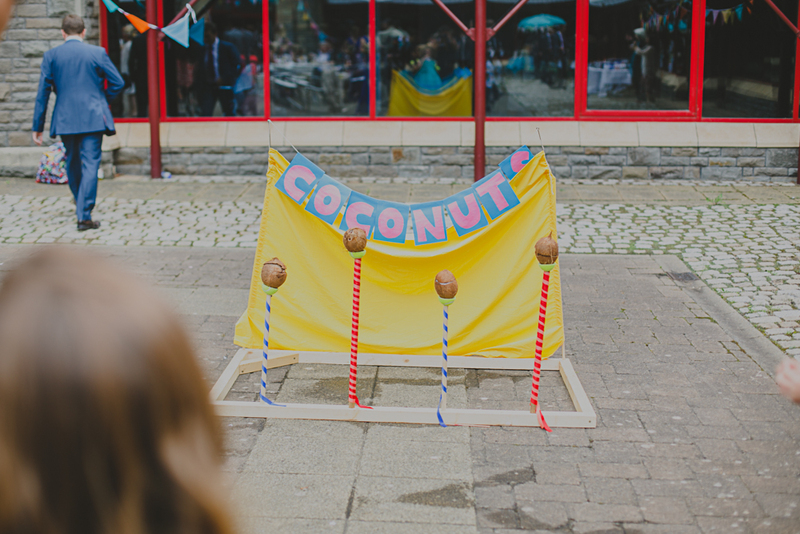 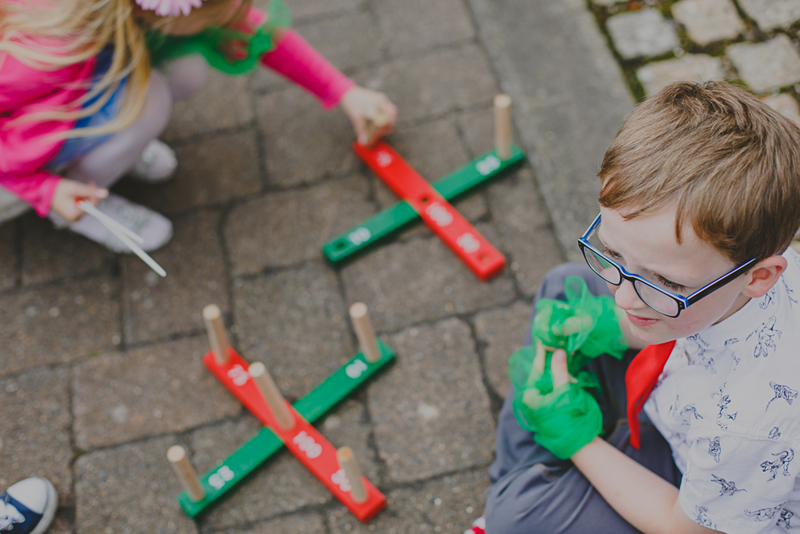 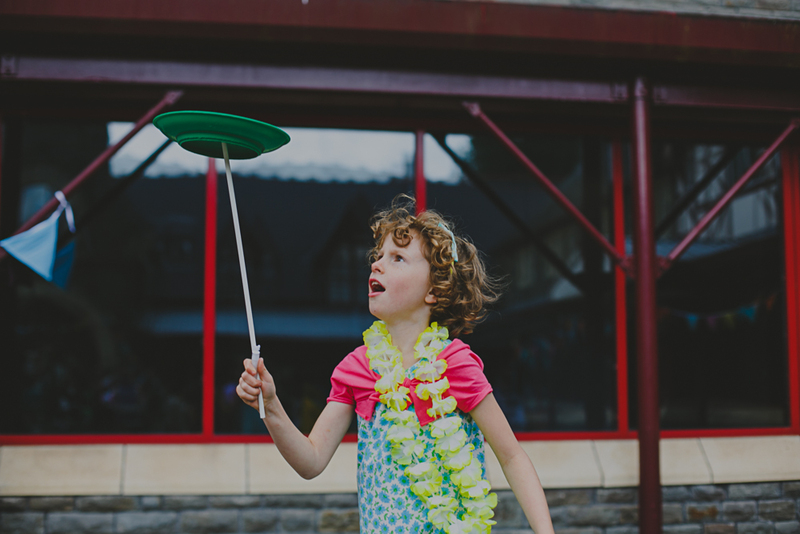 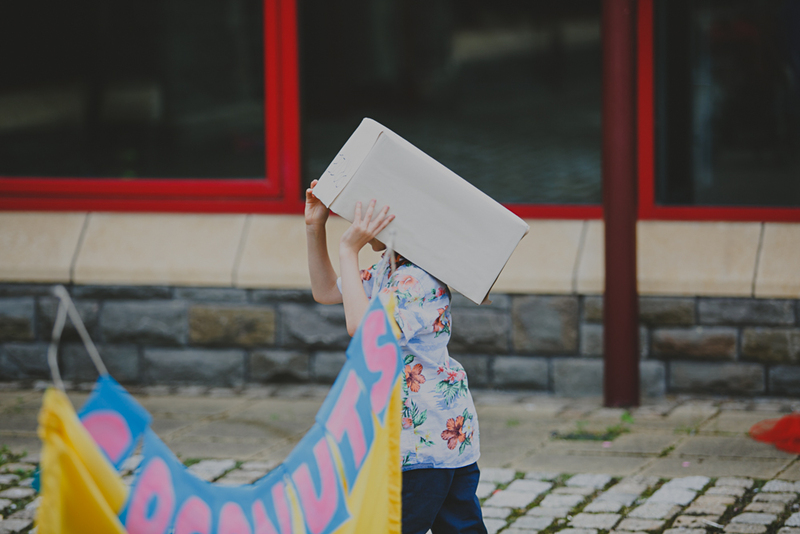 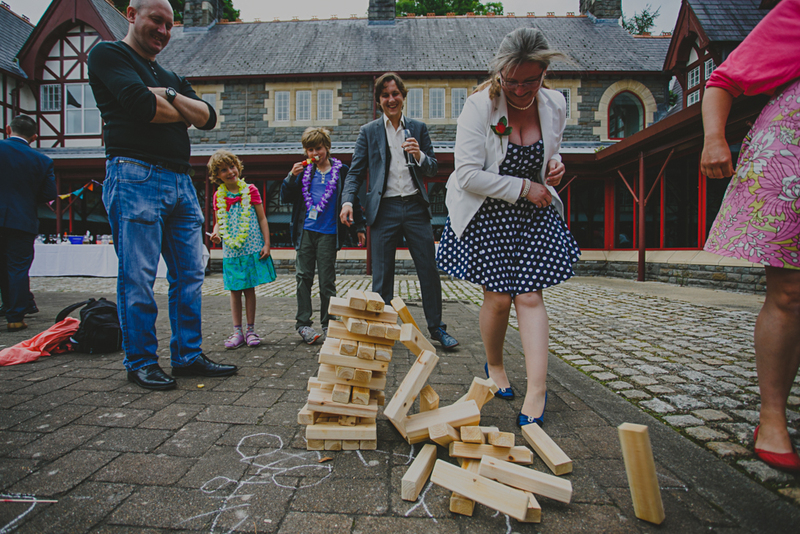 Afterwards we returned to a party in full swing, complete with coconut shy, circus games, ice cream and a giant jenga! 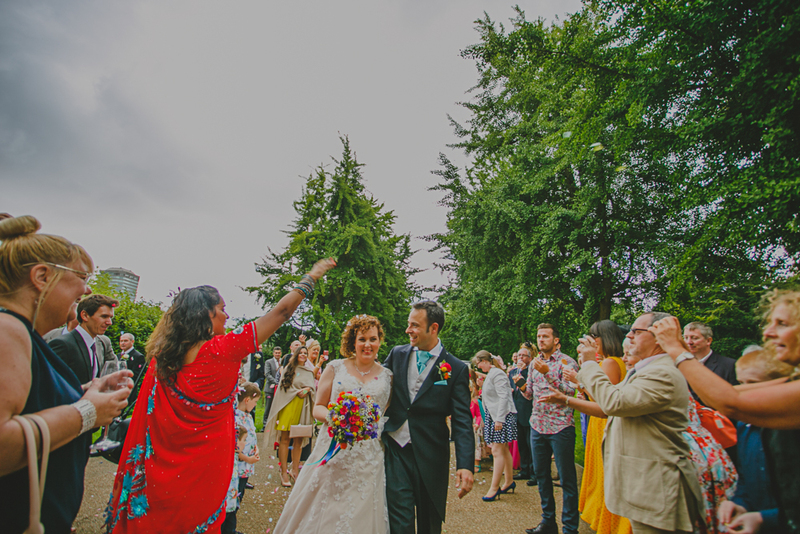 It had such a fun festival feeling to it. 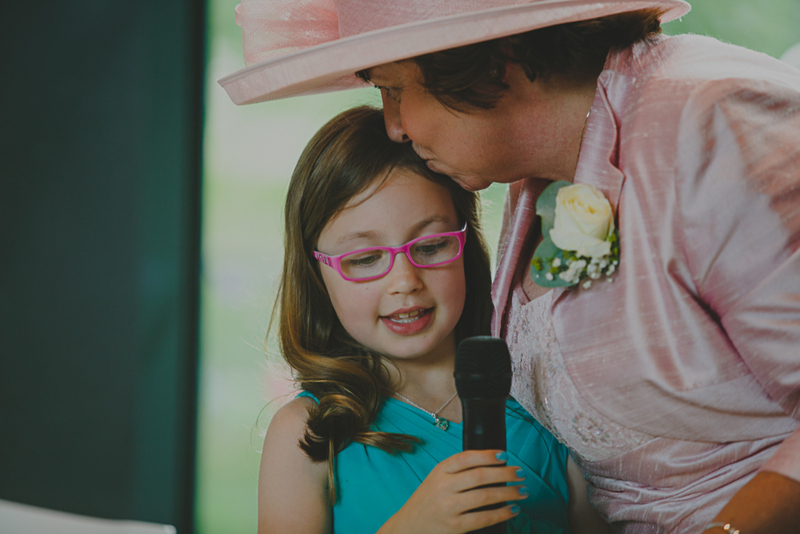 The speeches were just perfect – from the heart and short but sweet, even their daughter gave a speech, which brought a tear to many eyes. 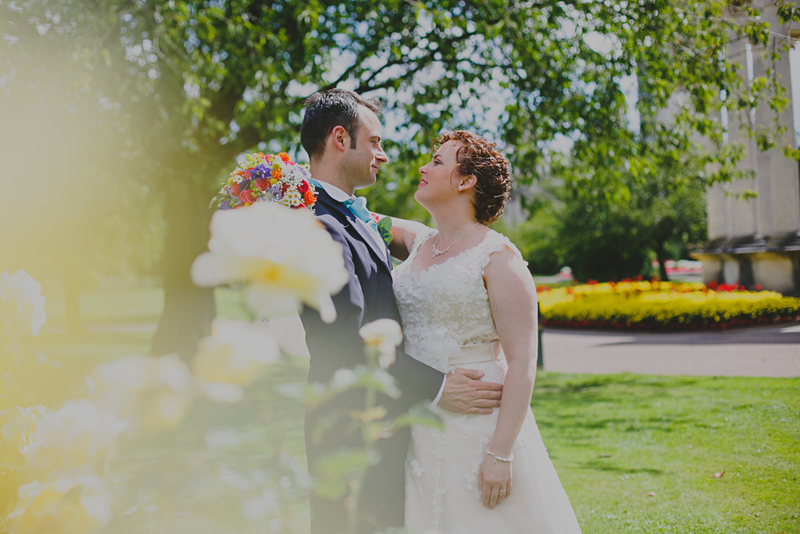 We had a wander in Bute Park as the sun began to set and went back in time for dancing the night away.